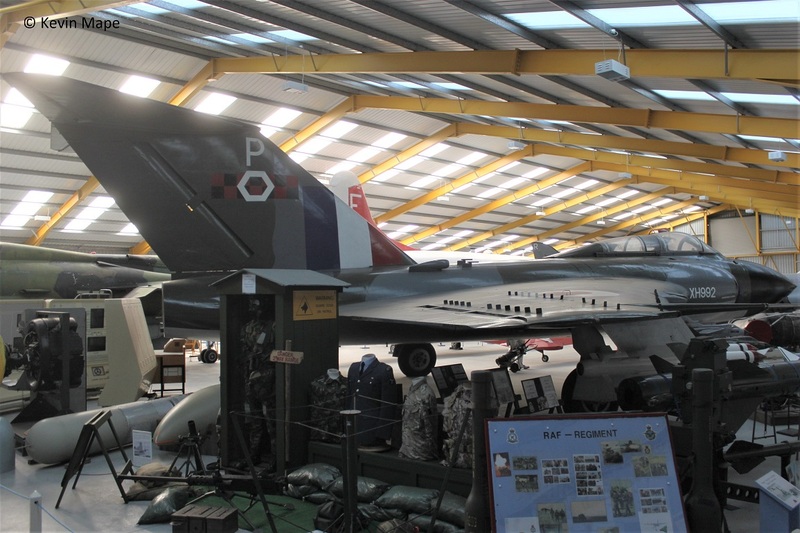 This Museum offers something for everyone , The best private Museum in the UK sits on the former RAF Windthorpe .A friendly staff always happy to help make your visit a good one. 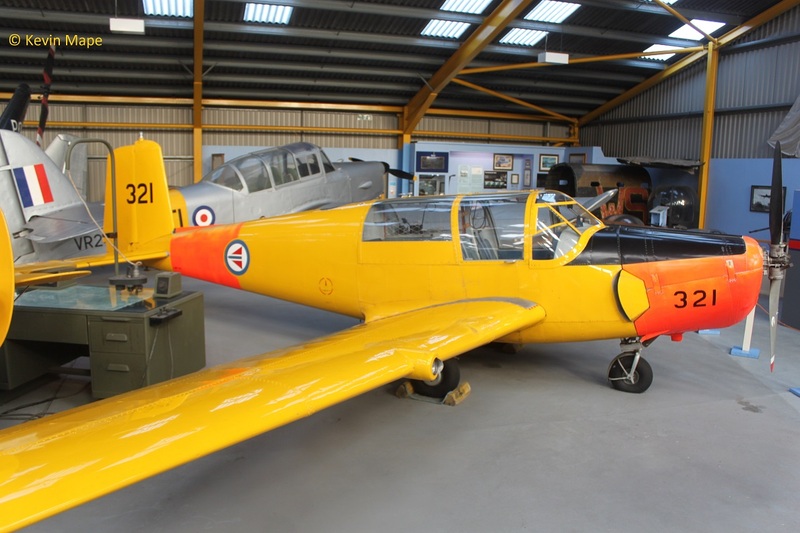 A Havard has been added to the list of trainers and is in the restoration building under rebuild, a Mooney G-APVV the next in line. 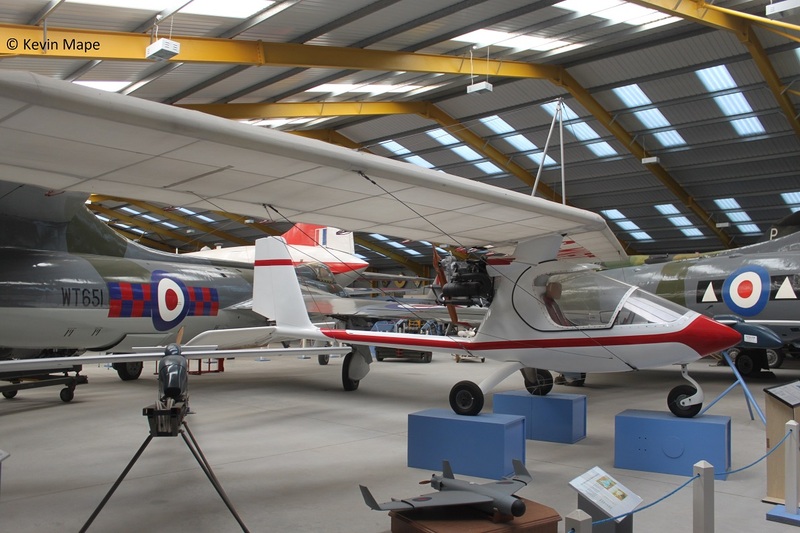 The Museum has a theme of training aircraft with a vast array on show in two display hangars, A new Café just opened near hangar 2 and there is a very well stocked shop, it is a must on anyone’s to do list. 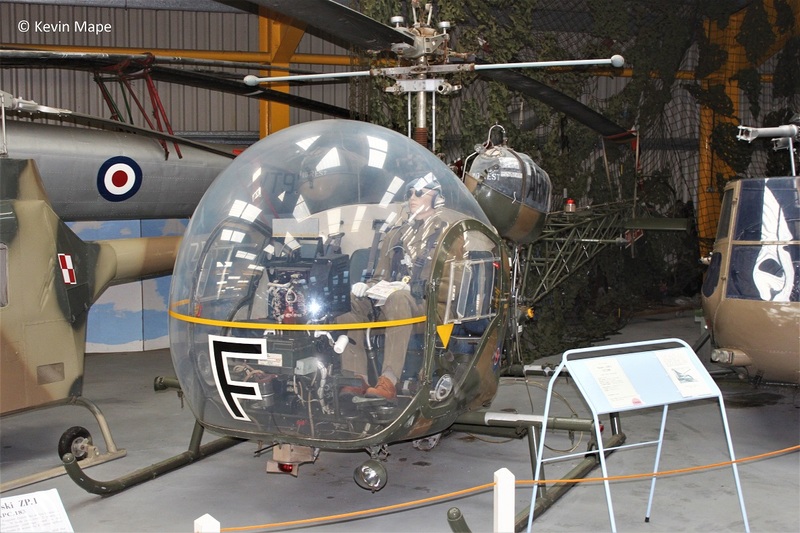 I have added pictures taken over many visits to NAM. 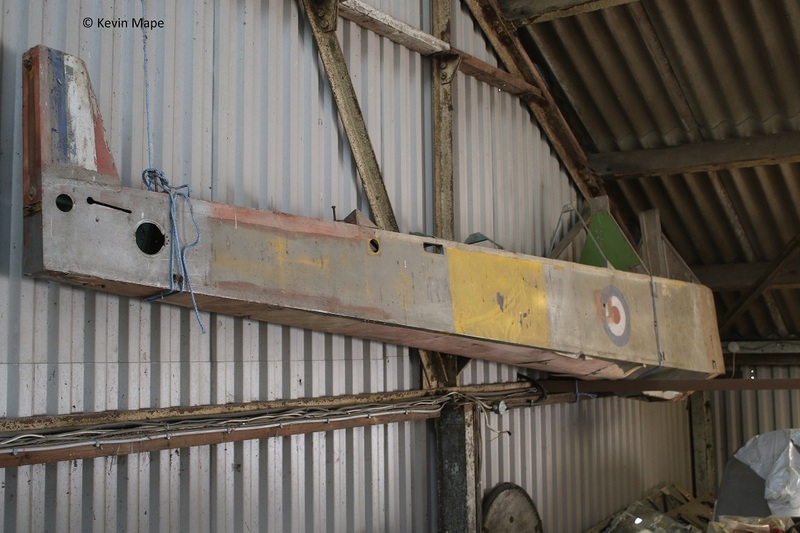 W4964 : Lancaster I Fuselage section : coded WS-J. 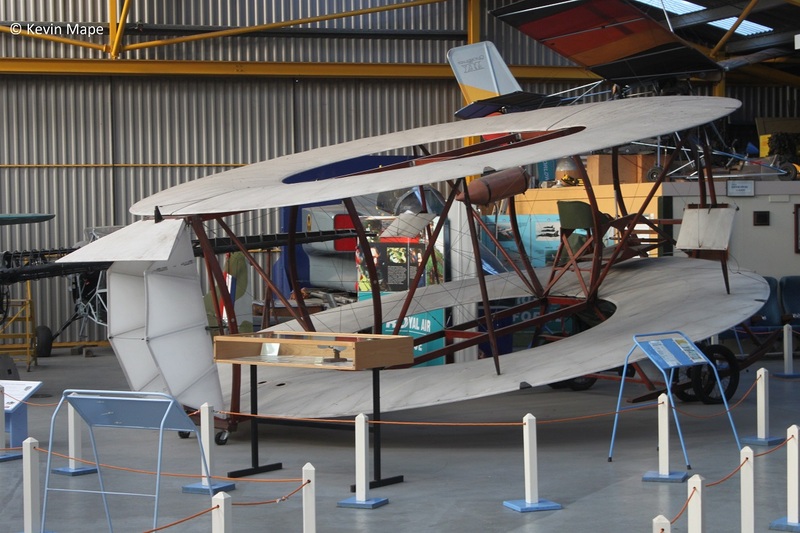 : Displayed in Hangar 1. 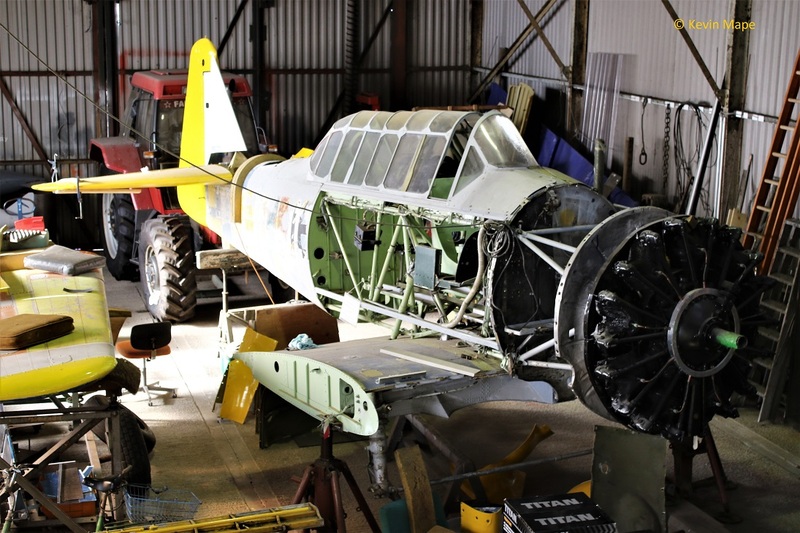 FE930 : N A Havard IIb : Under restoration. 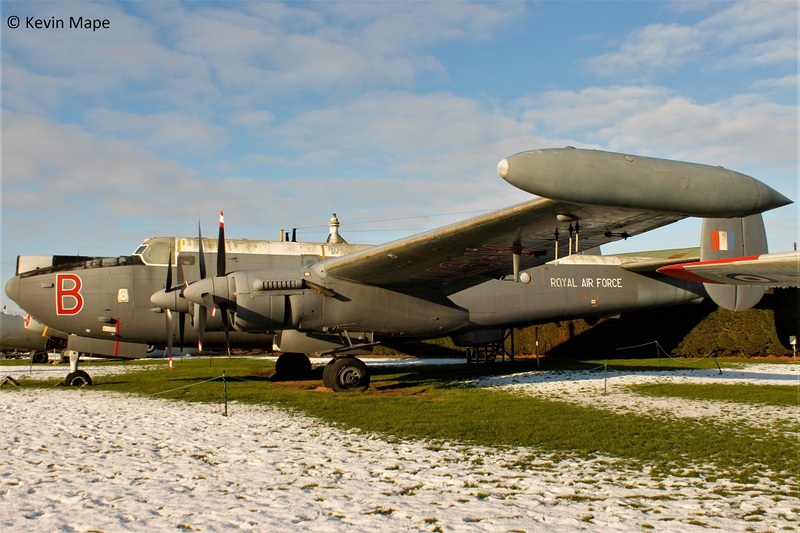 ex 42-12417 Dutch Air Force. 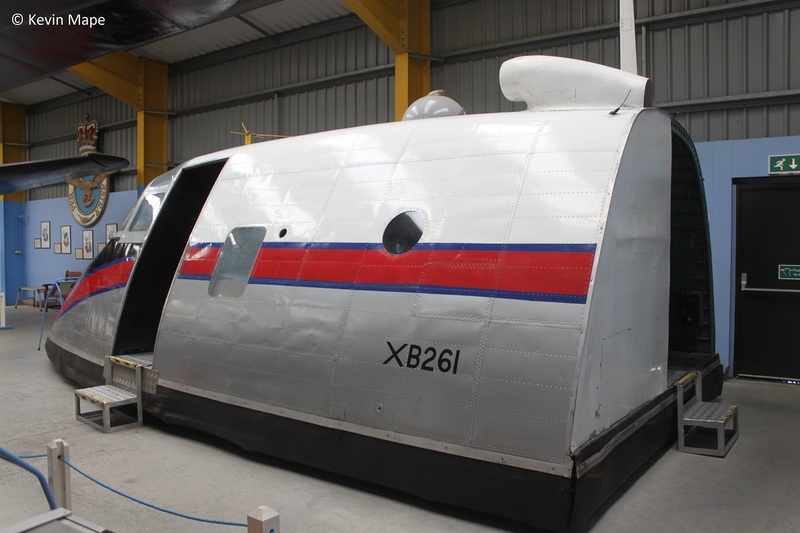 RA897 : Slingsby Cadet TX.1 : Stored. 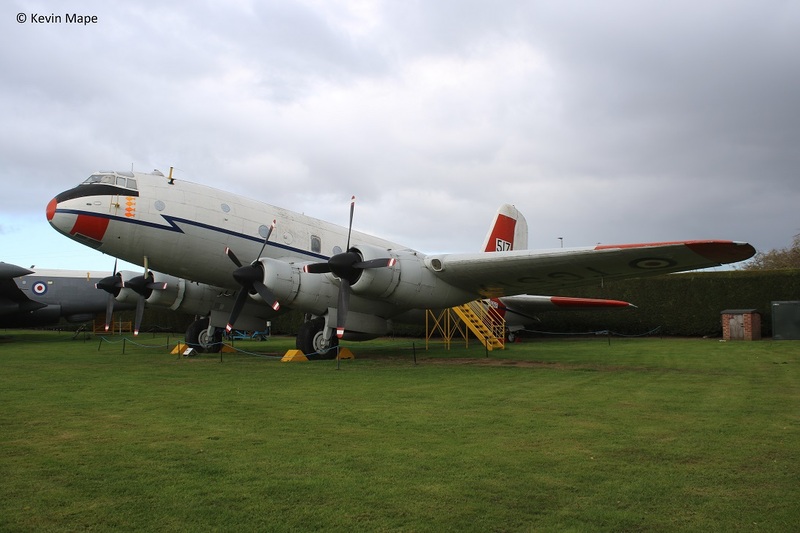 TG517 : Handley Page Hastings T5 : Displayed outside. 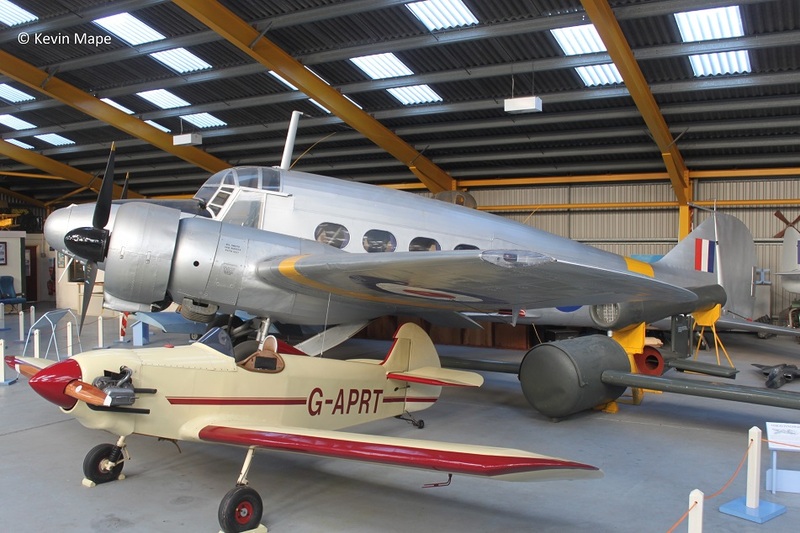 VL348 : Avro Anson C19 : Displayed in hangar 1. 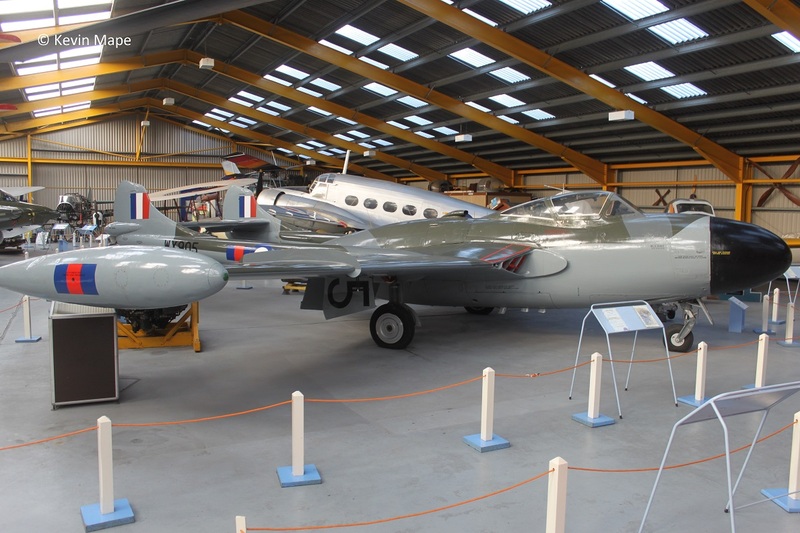 VR249 : Percival Prentice : 19 FTS markings coded FA-EL : Displayed in hangar 1. 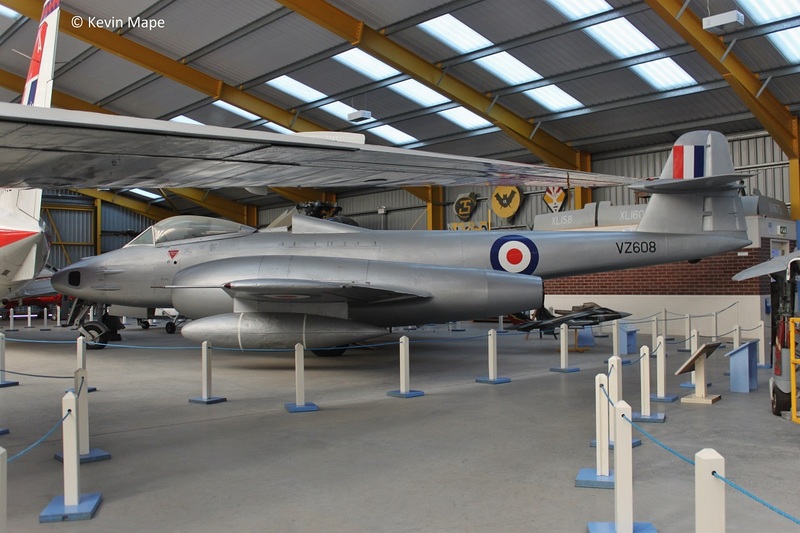 VZ608 : Gloster Meteor FR 9 (Mod ) Displayed in hangar 2. 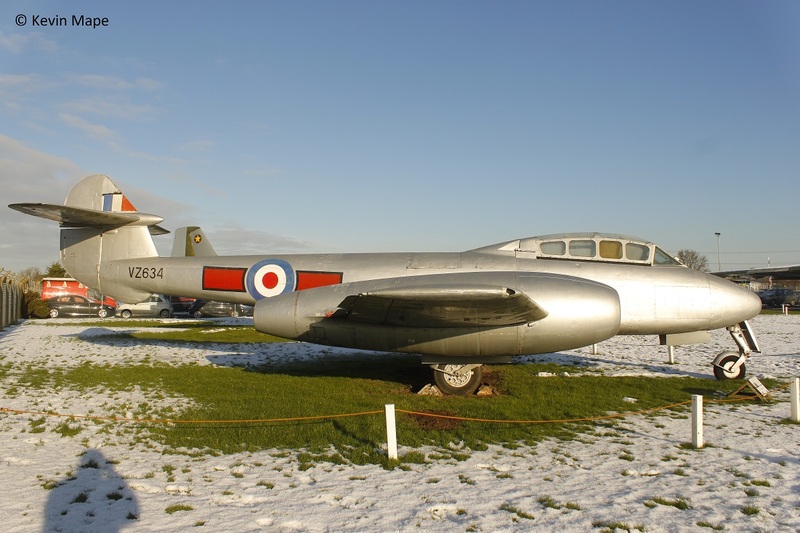 VZ634 : Gloster Meteor T7 : 247Sqn markings : Displayed outside. 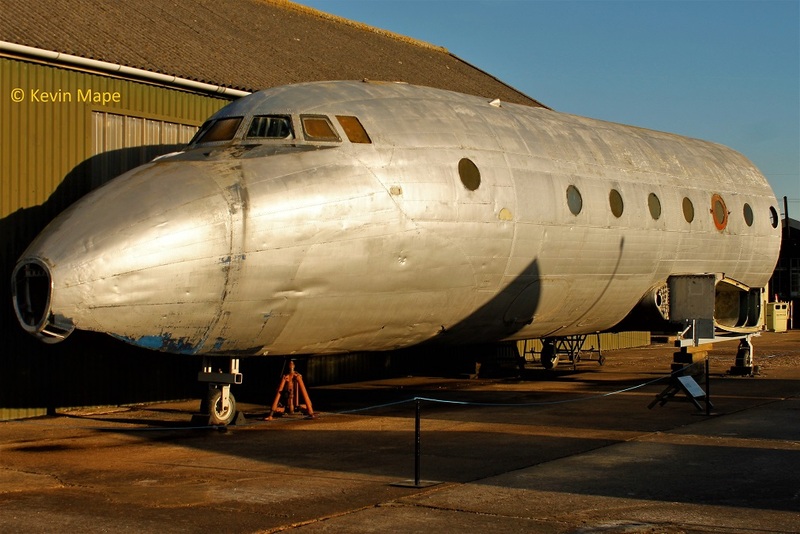 WB491 : Avro Aston – Fuselage : Displayed outside. 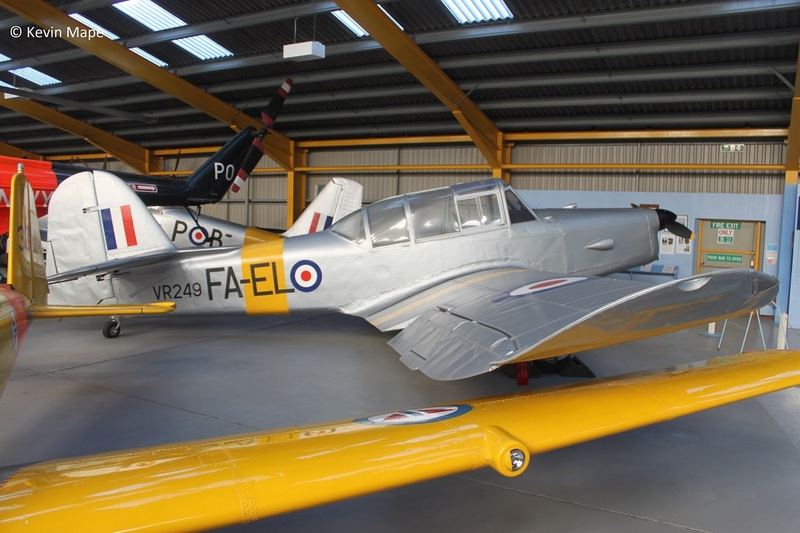 WB624 : DHC -1 Chipmunk T10 : Displayed in hangar 2. 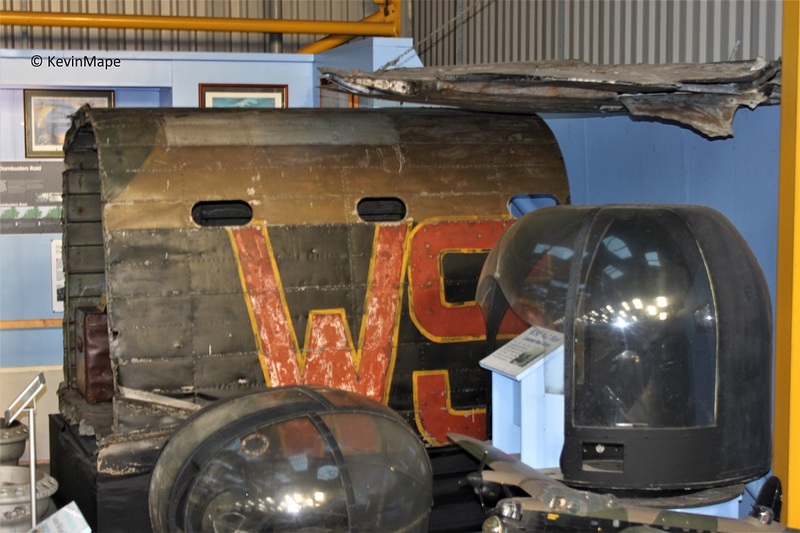 WF369 : Vickers Varsity : 6FTS markings coded F : Displayed in hangar 2. 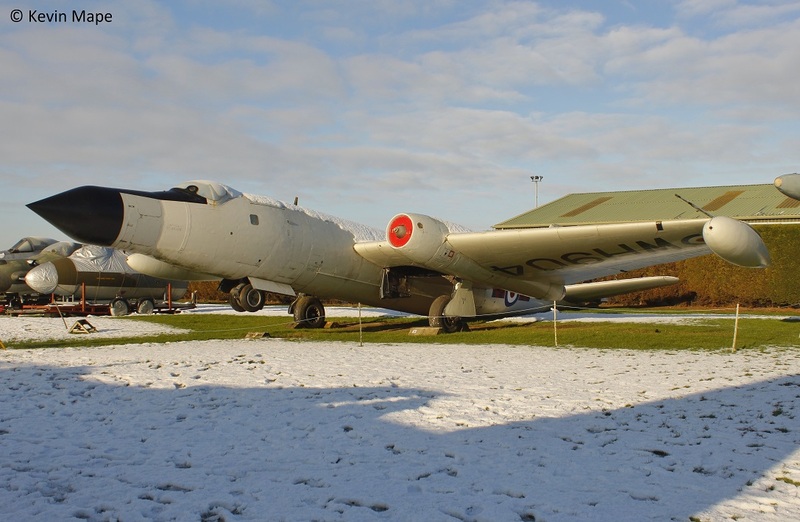 WH791 : English Electric Canberra PR 7 : 31Sqn markings : Displayed outside. 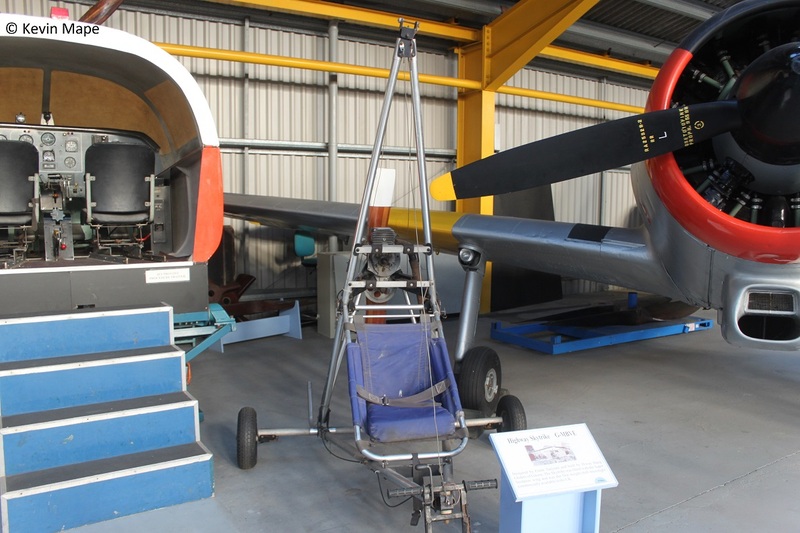 WH863 : English Electric Canberra T 17 cockpit section. 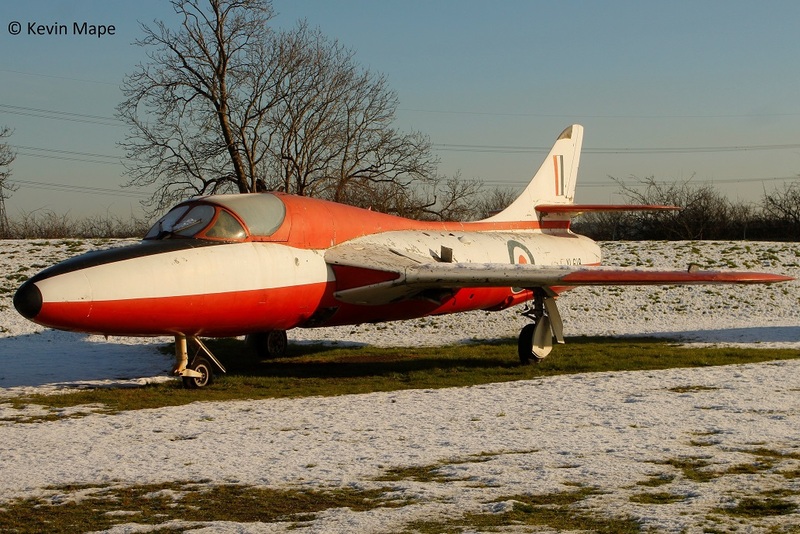 WH904 : English Electric Canberra T 19 : Displayed outside. 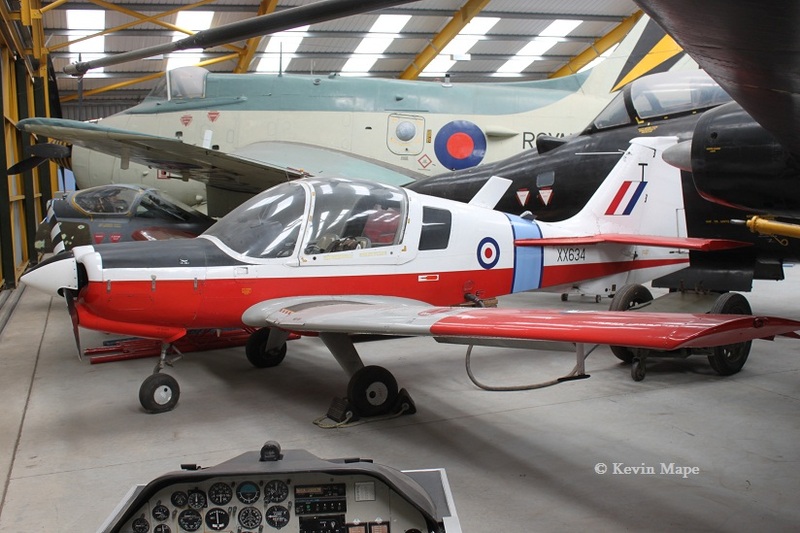 WK277 : Supermarine Swift FR.5 : 2Sqn markings coded N : Displayed in hangar 2. 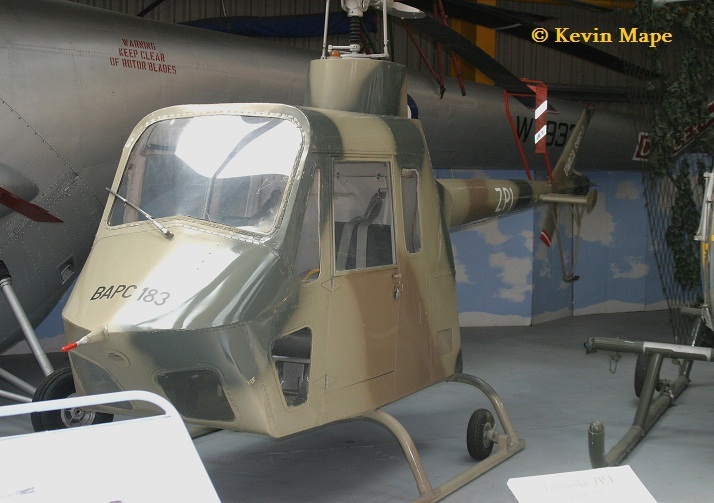 WR977 : Avro Shacl;eton MR3/3 : 42Sqn markings coded B : Displayed outside. 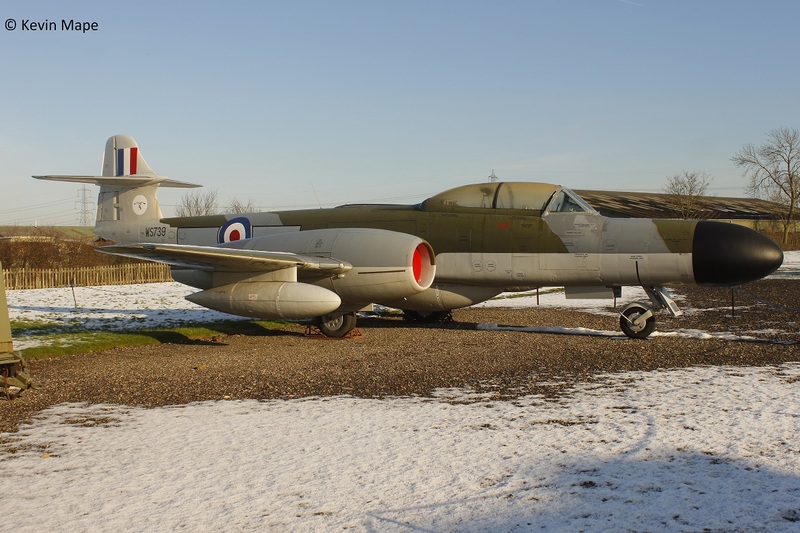 WS739 : Gloster Meteor NF 14 : 25Sqn markings : Displayed outside. 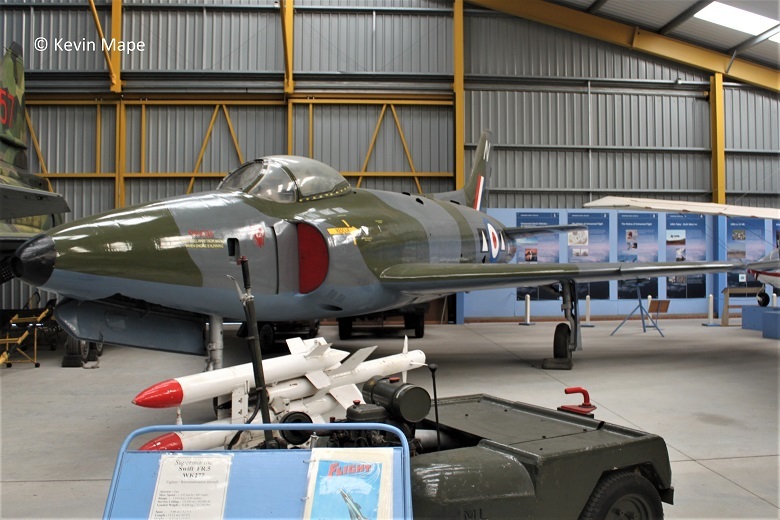 WT651 : Hawker Hunter F 1 : 222Sqn markings coded C : Displayed in hangar 2. 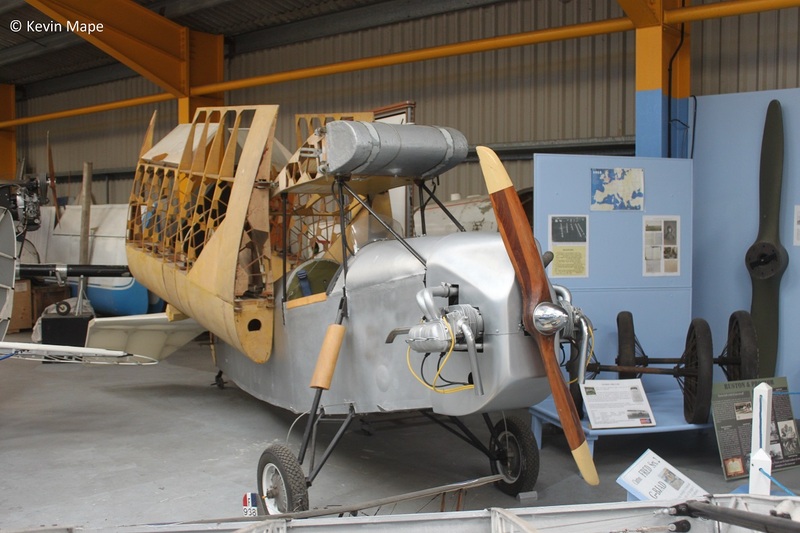 WT933 : Bristol Sycomore III : Displayed in hangar 1. 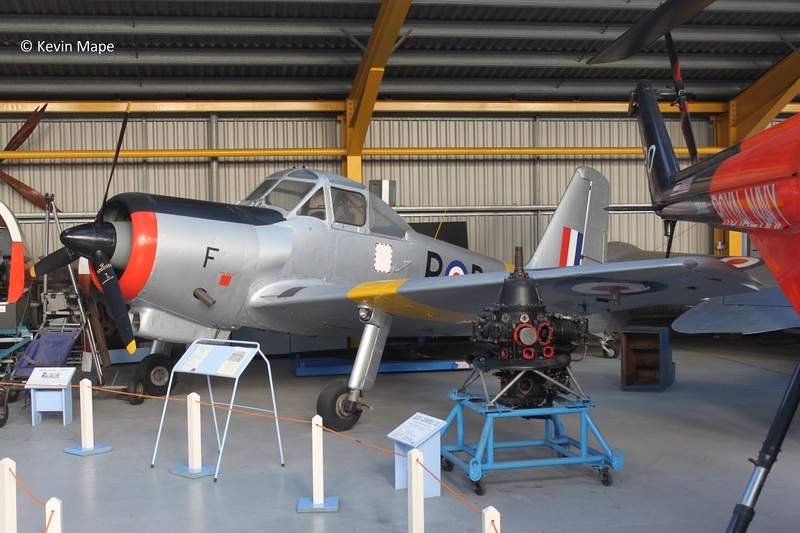 WV606 : Percival Provost T1 : coded as P-B F : Displayed in hangar 1. 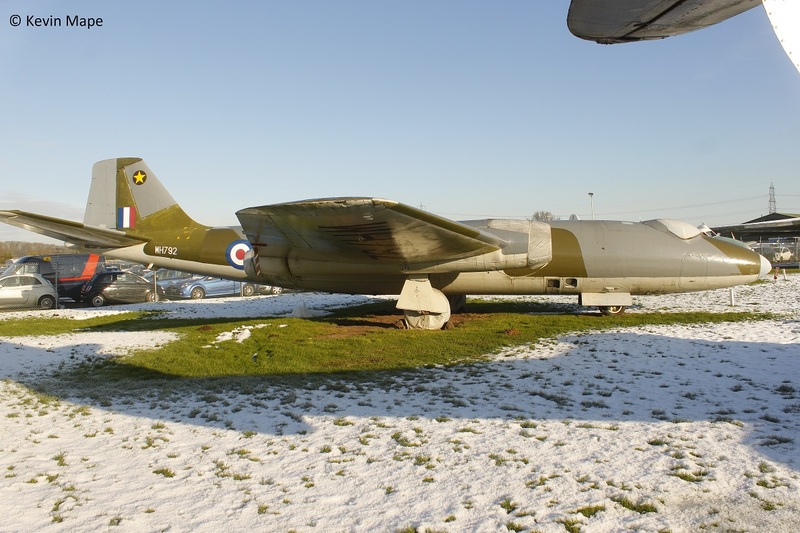 WV787 : English Electric Canberra B2 Mod : A&AEE markings : Displayed in hangar 2. 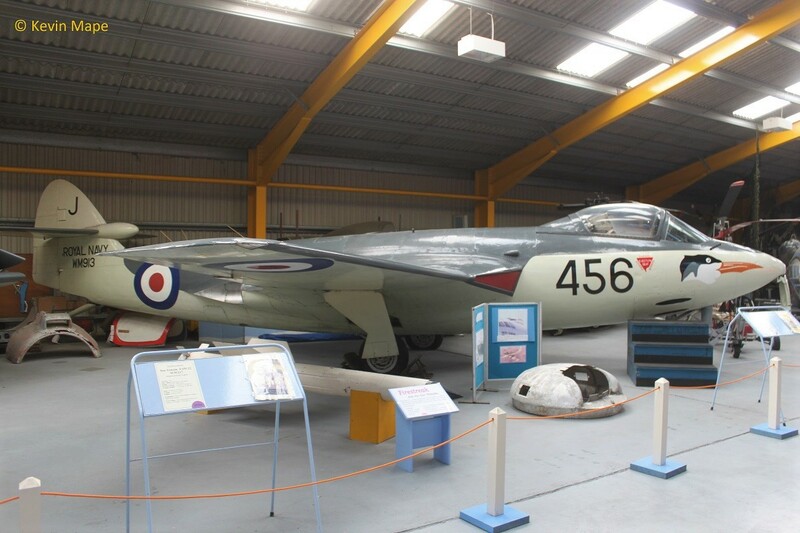 WX905 : De Havilland Venom NF 3 : 23Sqn markings : Displayed in hangar 1. 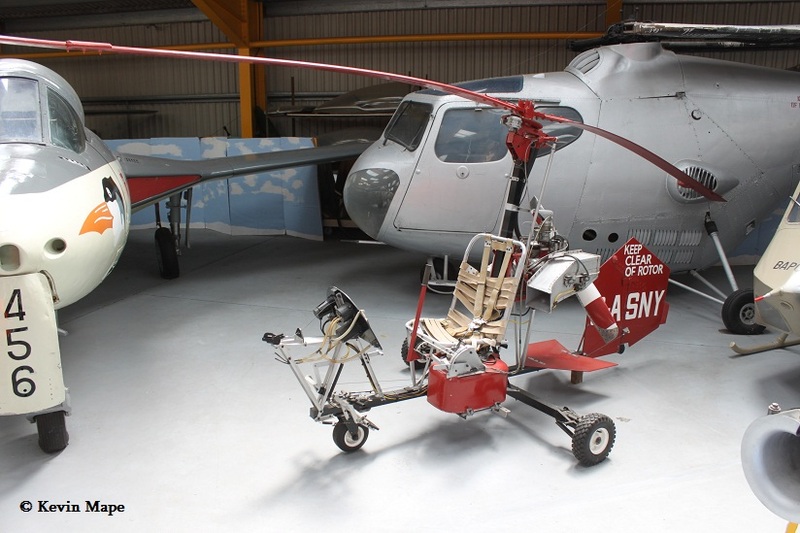 XA239 : Slingsby Grasshopper TX.1 : Stored off site. 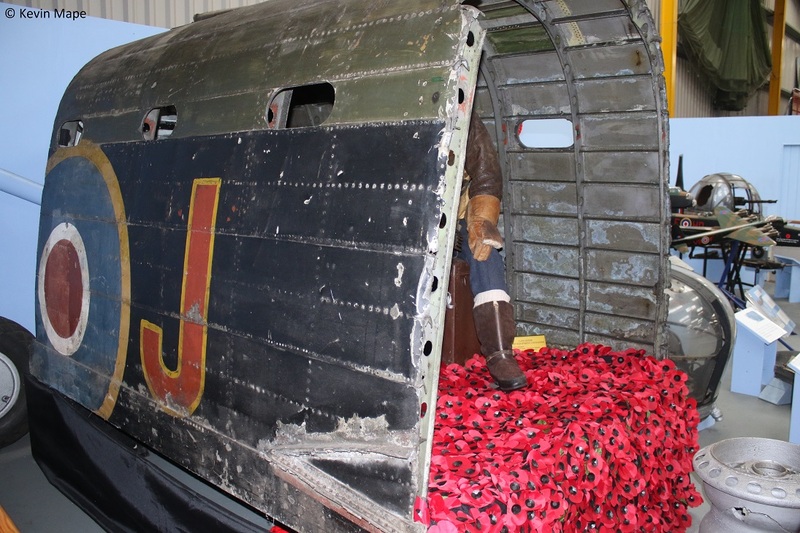 XB261 : Blackburn Beverley C1 – Cockpit section. 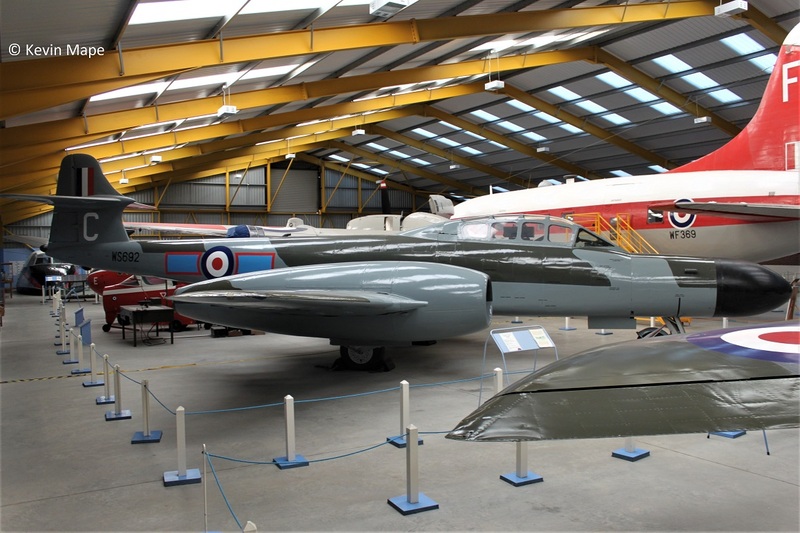 XD593 : De Havilland Vampire T11 : CFS markings coded 50 : Displayed in hangar 1. 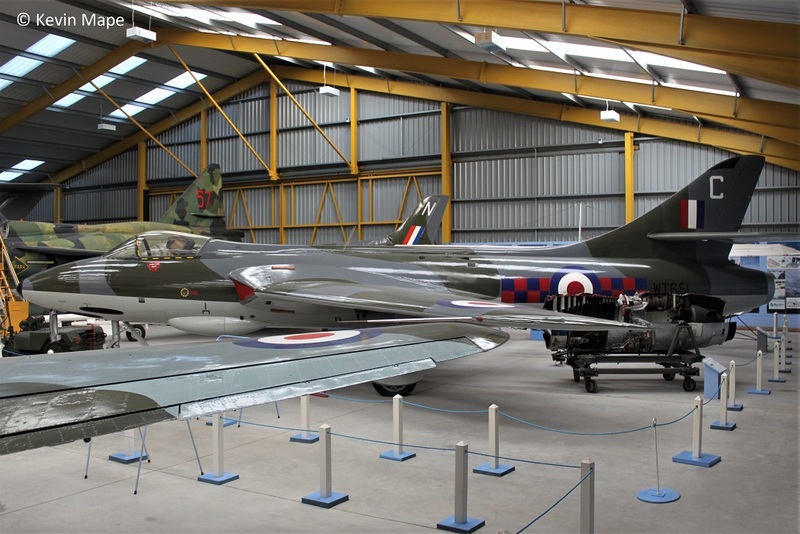 XH992 : Gloster Javelin FAW 8 : 85Sqn markings coded P : Displayed in hangar 2. 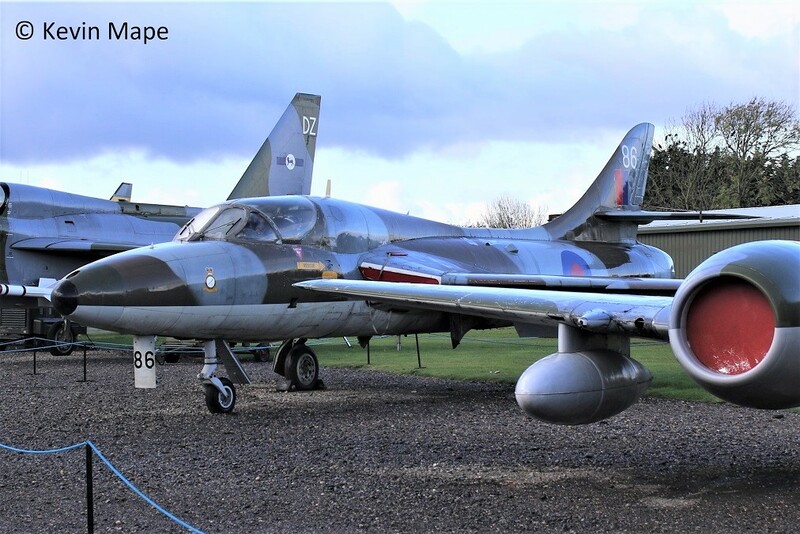 XL618 : Hawker Hunter T7 : Displayed outside. – Picture taken 29/12/2014 – Departed 13/5/2016 to Gutersloh Museum Germany. 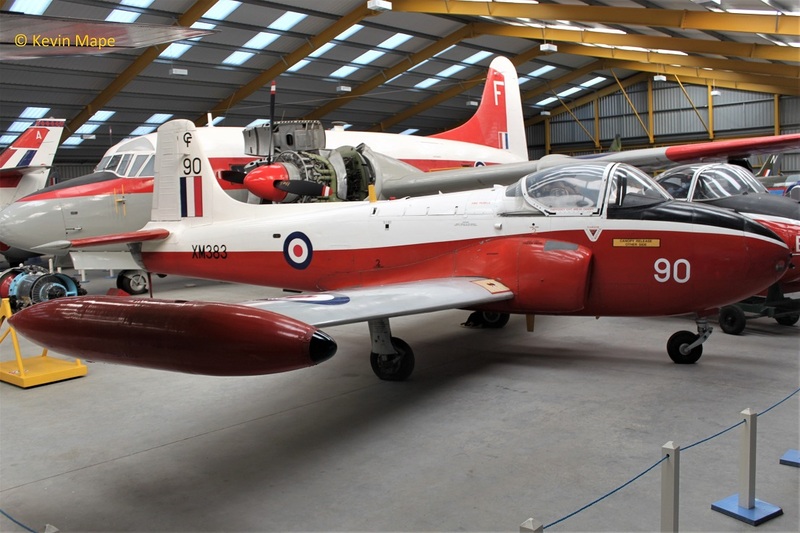 XM383 : Hunting Jet Provost T.3A : 7 FTS markings coded 90 : Displayed in hangar 2. 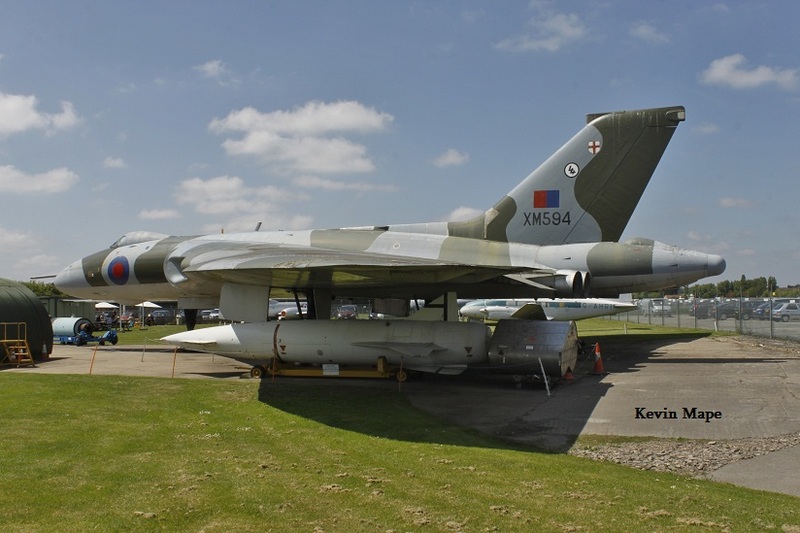 XM594 : Avro Vulcan B2 : 44 Sqn markings : Displayed outside. 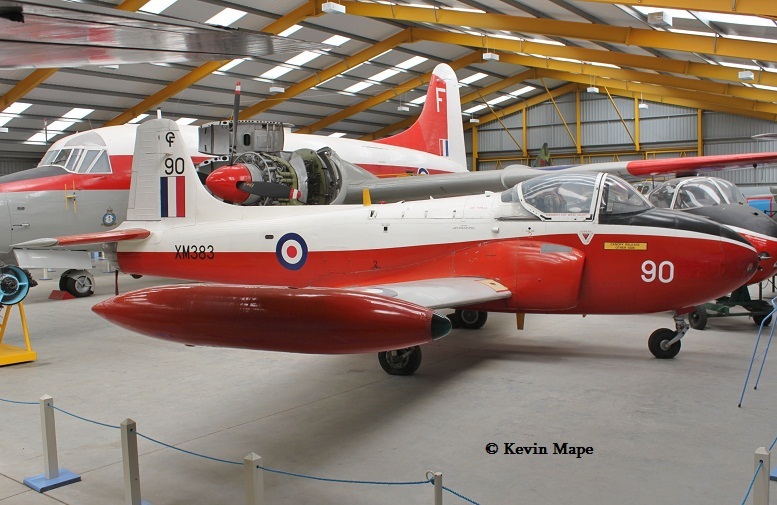 XN573 : Hunting Jet Provost T.3 (cockpit) : coded E : Displayed in hangar 2. 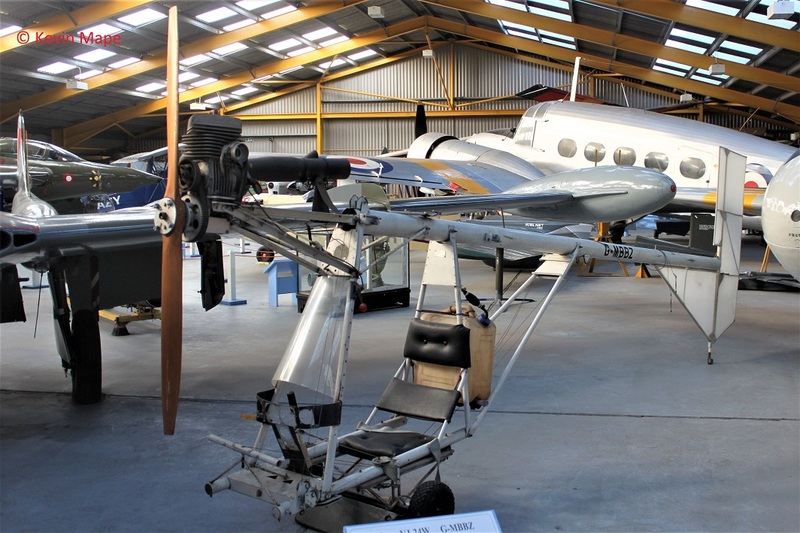 XN819 : Armstrong Whitworth Argosy C1 – Cockpit section. 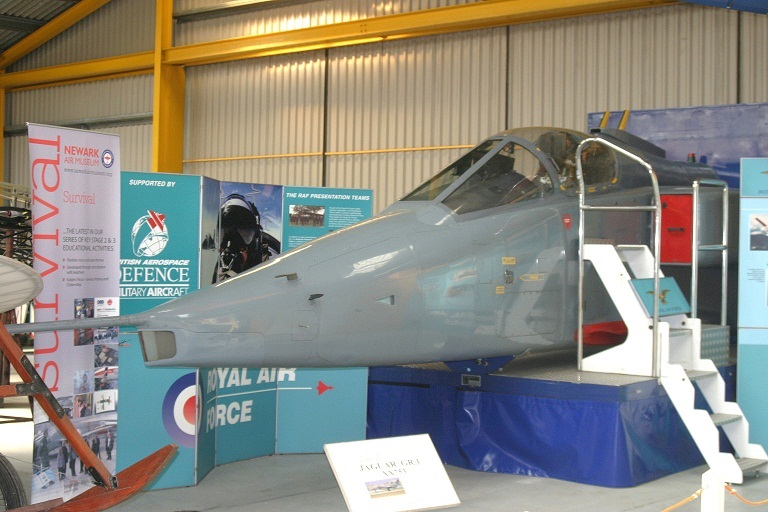 XR534 : Folland Gnat T.1 : 4 FTS markings coded 01 : Displayed in hangar 2. 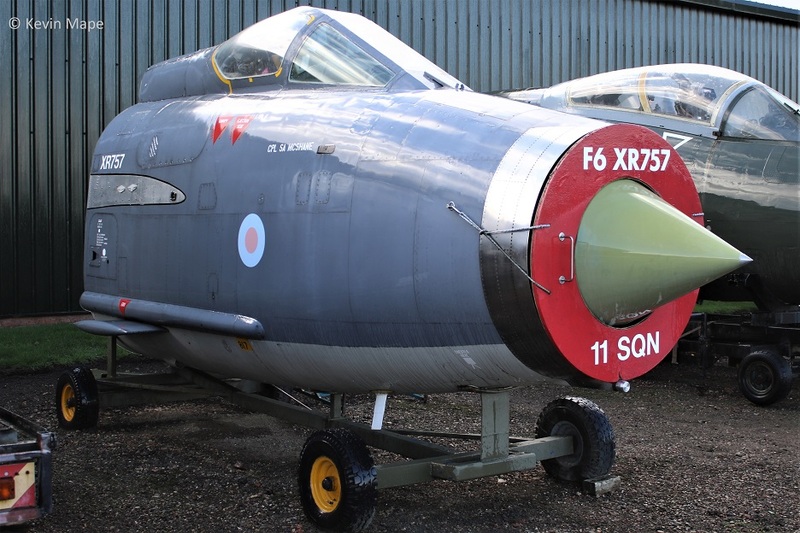 XR757 : English Electric Lightning cockpit section : Displayed outside. 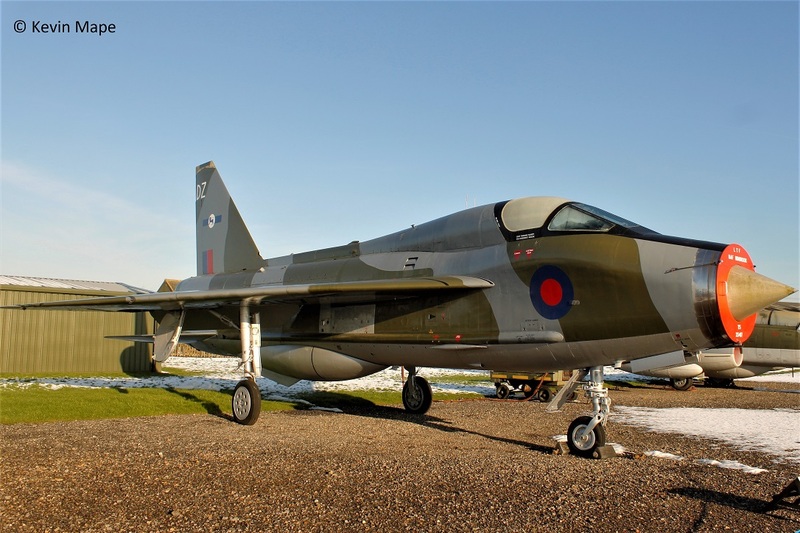 XS417 : English Electric Lightning T5 : Displayed outside. 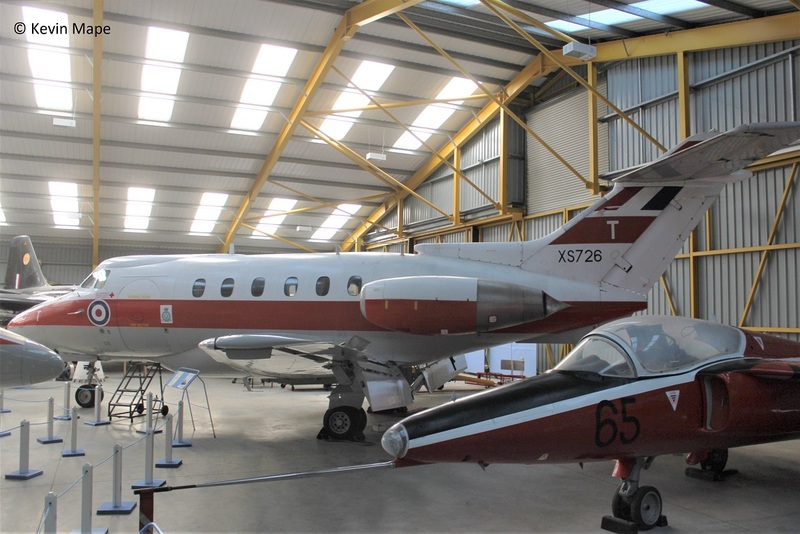 XS726 : Hawker Siddeley Dominie T1 : Displayed in hangar 2. 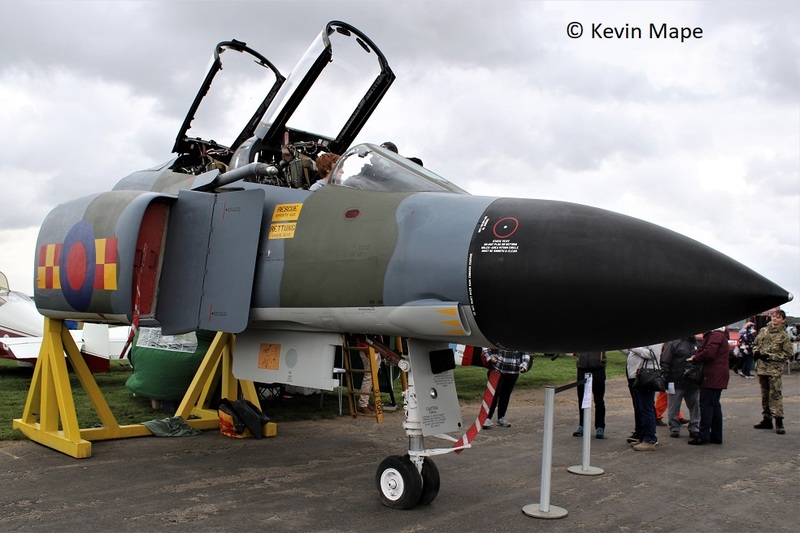 XV490 : MD Phantom FGR 2 nose section : 92Sqn markings : Displayed outside. 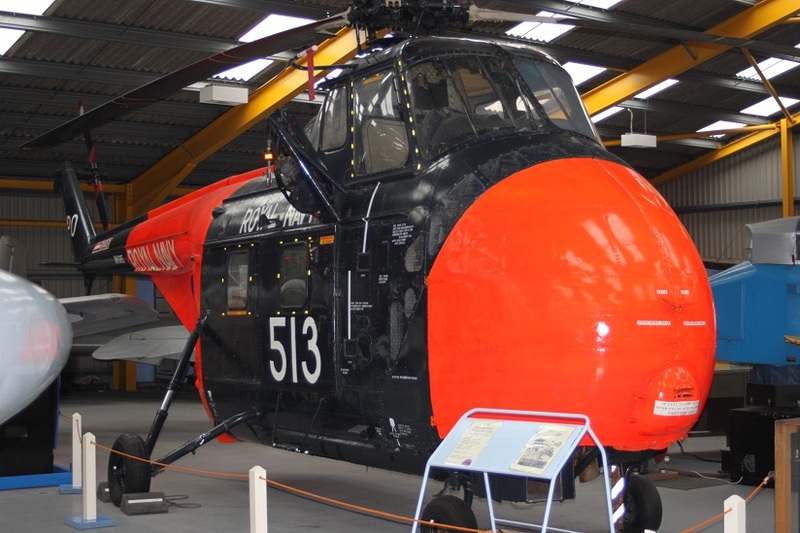 XV728 : Westland Wessex HC.2 : 72Sqn markings coded A : Displayed in hangar 2. 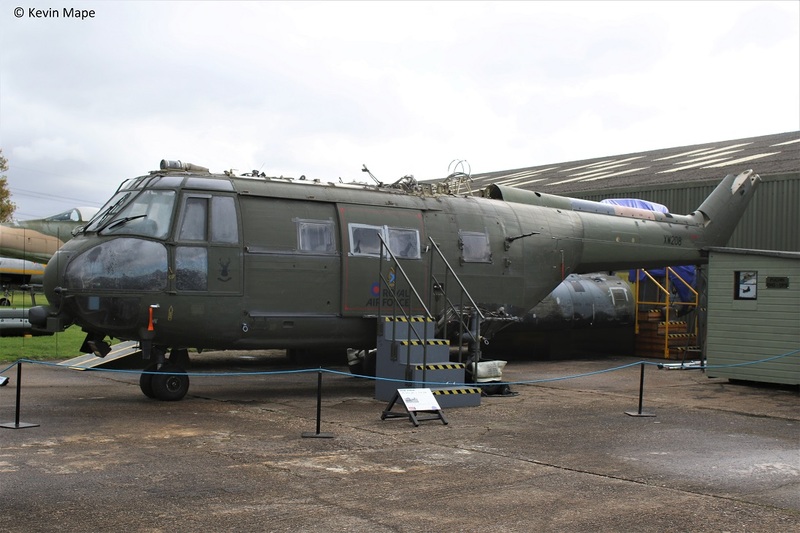 XW208 : Westland Puma HC 1 : 33 Sqn markings : Under restoration outside. 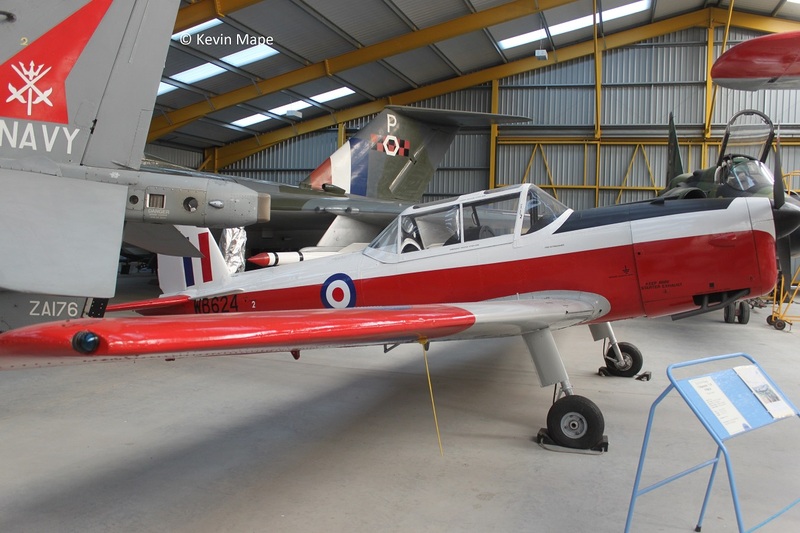 XX634 : Scottish Aviation Bulldog T.1 : RAFC markings coded T : Displayed in hangar 2. 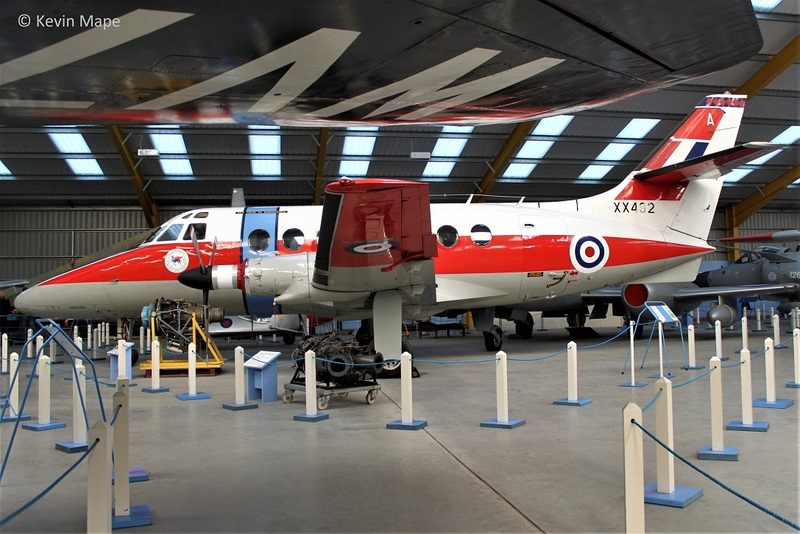 XX496 : Handley Page Jetstream T1 : 45(R)Sqn coded A : Displayed in hangar 2. 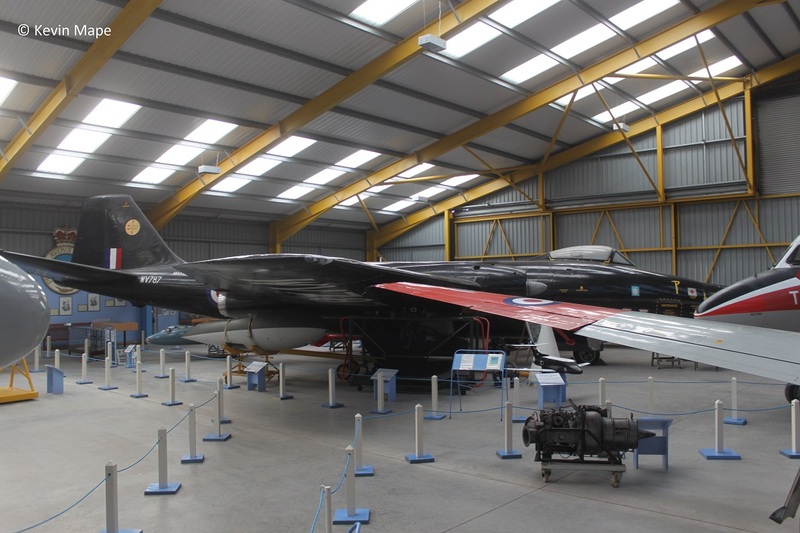 XX753 : SEPECAT Jaguar Nose section : Displayed in hangar 1. 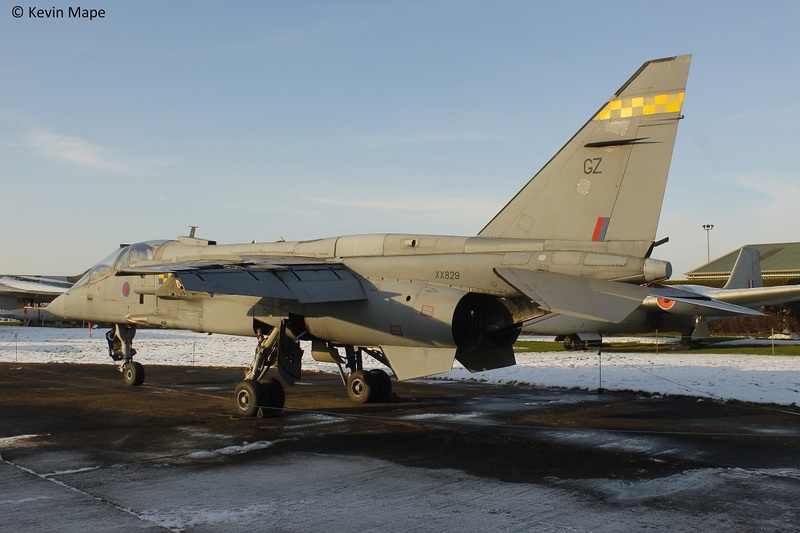 XX829 : SEPECAT Jaguar T2A : 54Sqn markings coded GZ : Displayed outside . 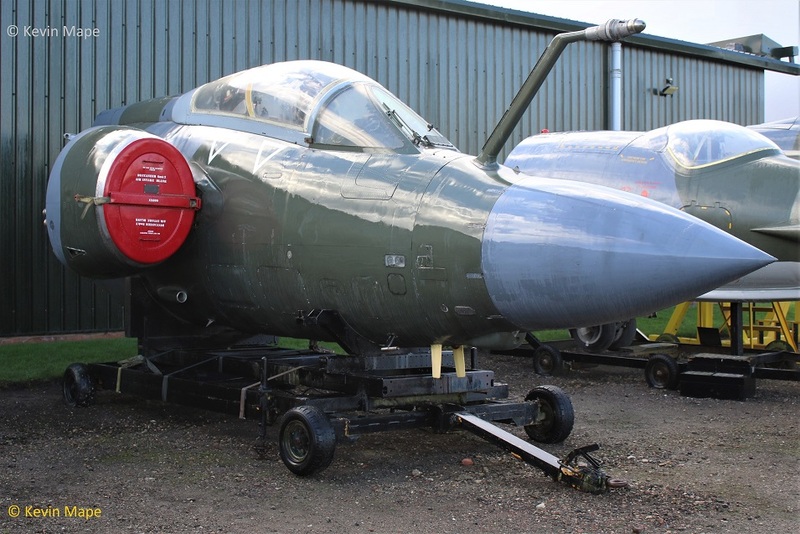 XX899 : Buccaneer S2B Nose section : Displayed outside. 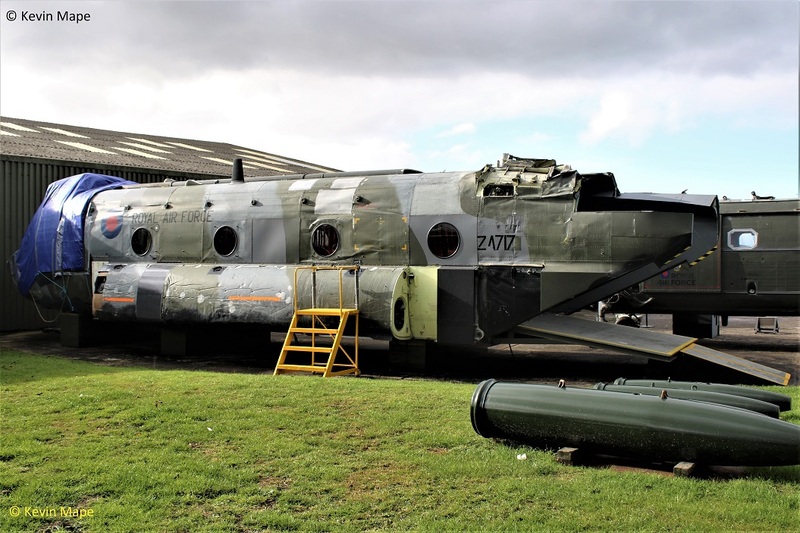 ZA717 : Boeing Chinook HC1 : 78 Sqn marking – Under restoration outside. 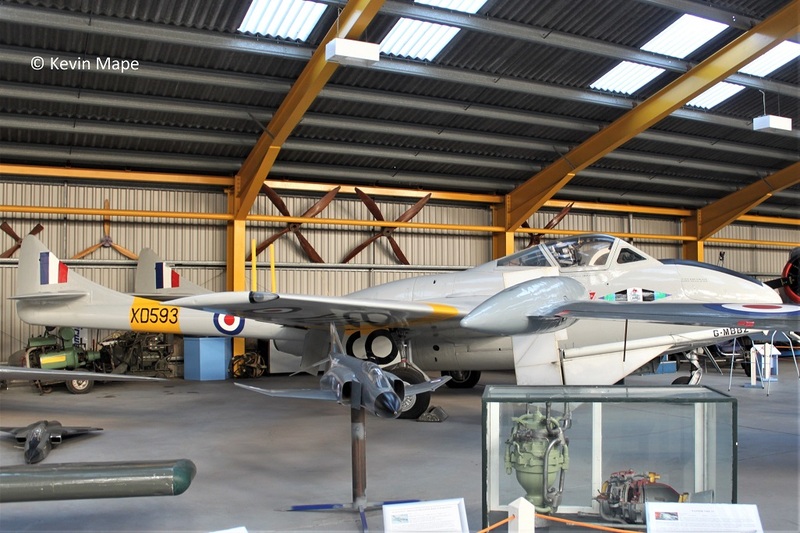 WM913 : Hawker Sea Hawk FB 3 : 897NAS markings coded J- 456 : Displayed in hangar 1. 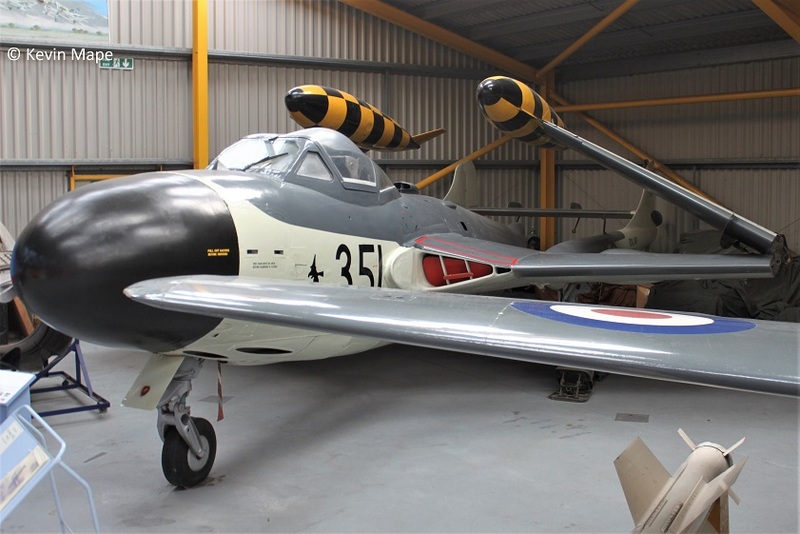 WW217 : De Havilland Sea Venom FAW 21 : 890NAS markings coded O-351 : Displayed in hanger 1. 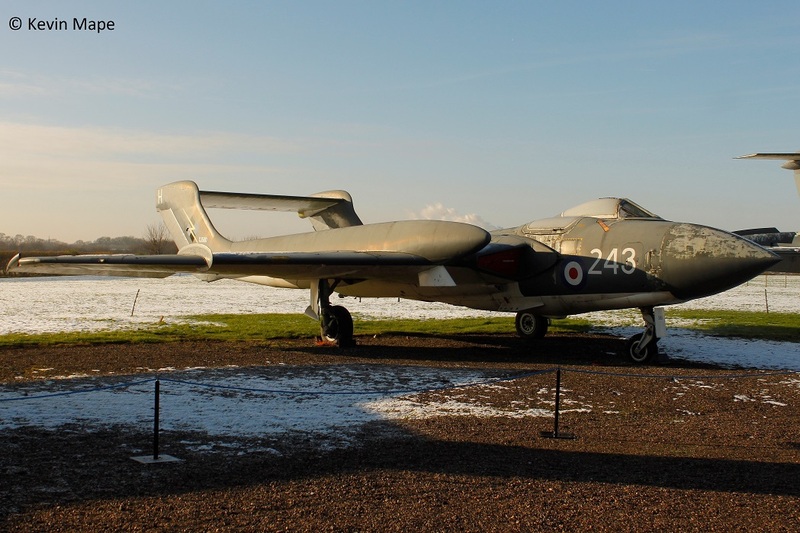 XJ560 : De Havilland Sea Vixen FAW 2 : Displayed outside . 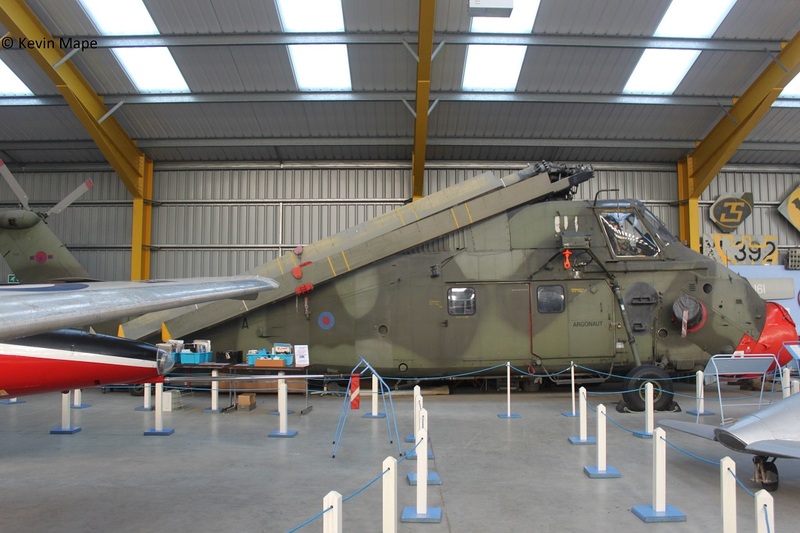 XM685 : Westland Whirlwind HAS.7 : coded PO-513 : Displayed in hangar 1. 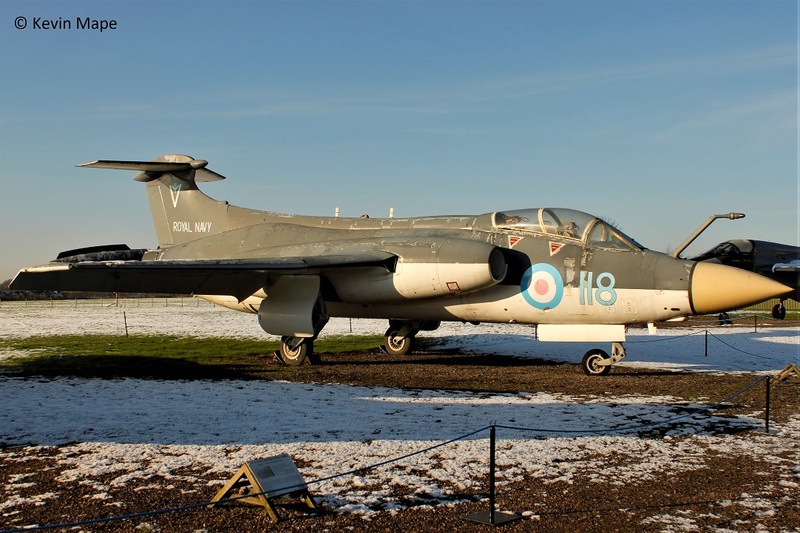 XN964 : 630 : Blackburn Buccaneer S1 : Displayed outside. 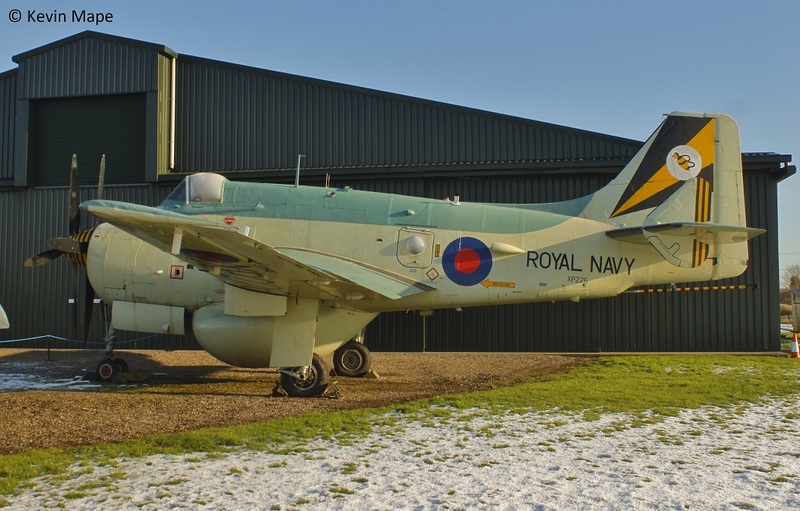 XP226 : Fairy Gannet AEW 3 : 849NAS markings coded 73 : Displayed outside. 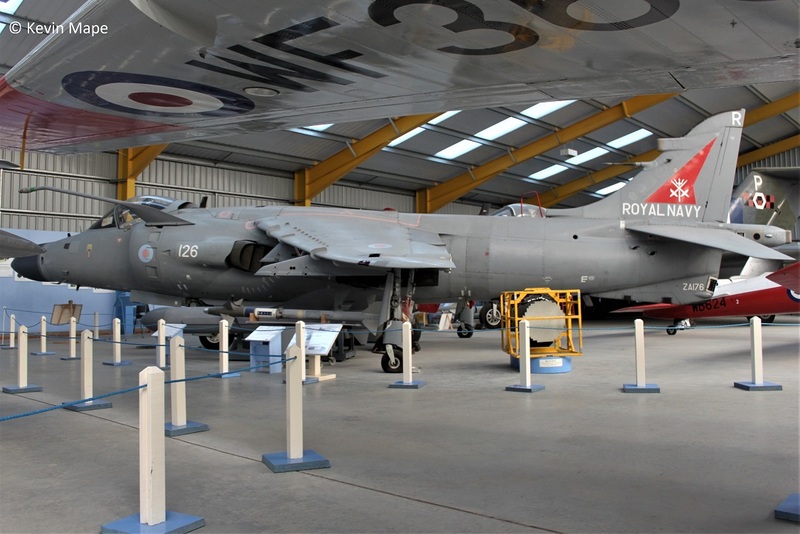 ZA176 : BAe Sea Harrier FRS1/FA2 : 800 NAS coded R-126 : Displayed in hangar 2. 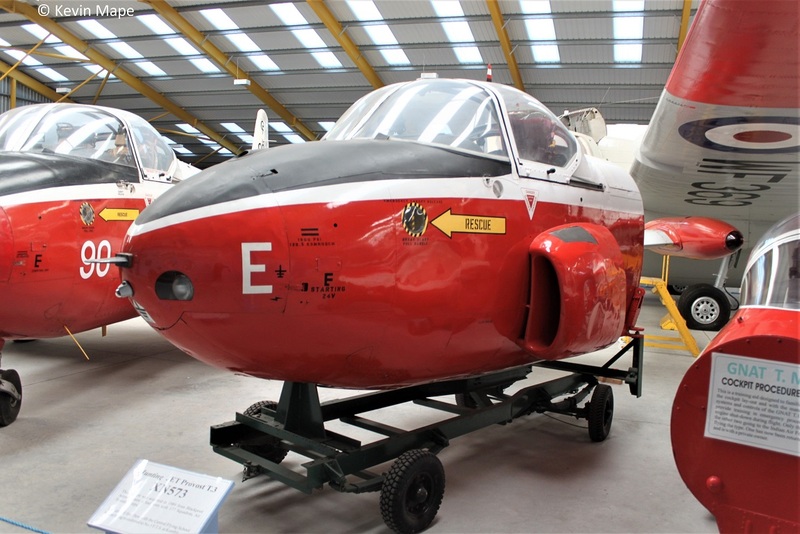 XL764 : Saunders Roe Skeeter AOP.12 : coded J : Displayed in hangar 1. 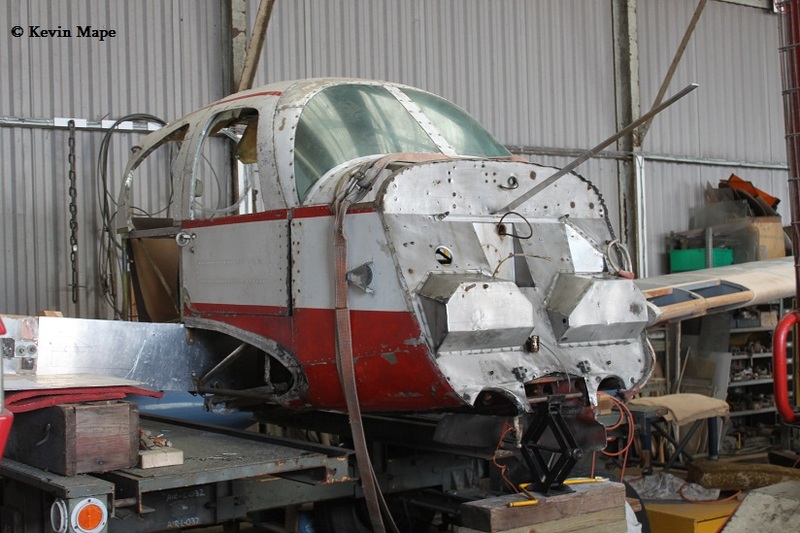 XR268 : Auster AOP 9 : Under Restoration in hangar 1. 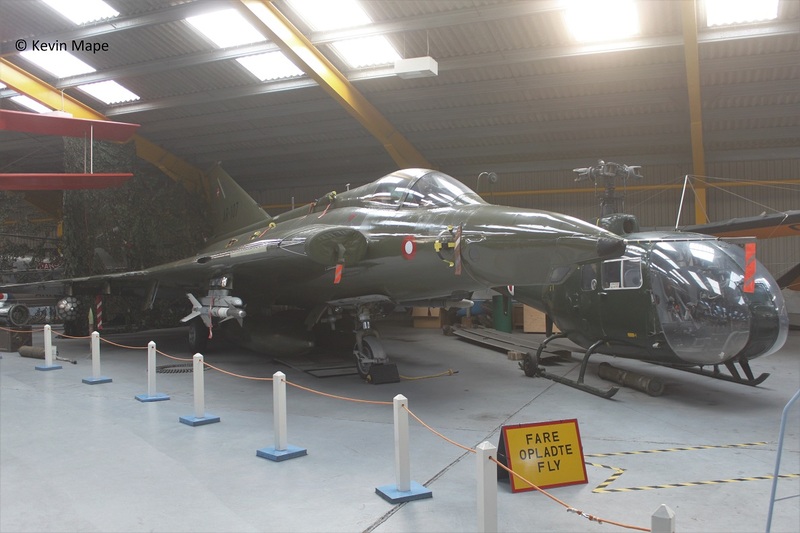 AR-107 : SAAB Draken : Displayed in hangar 1 . 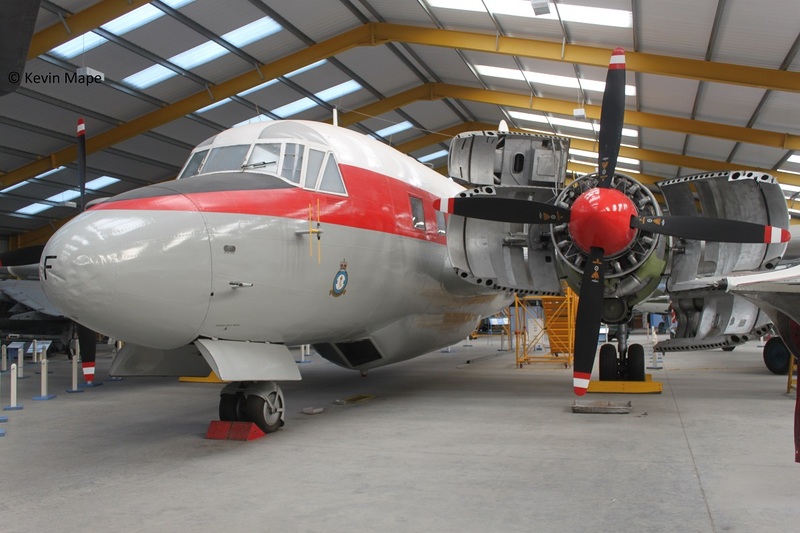 56321 : SAAB Safir : coded 321 : Displayed in hangar 1. 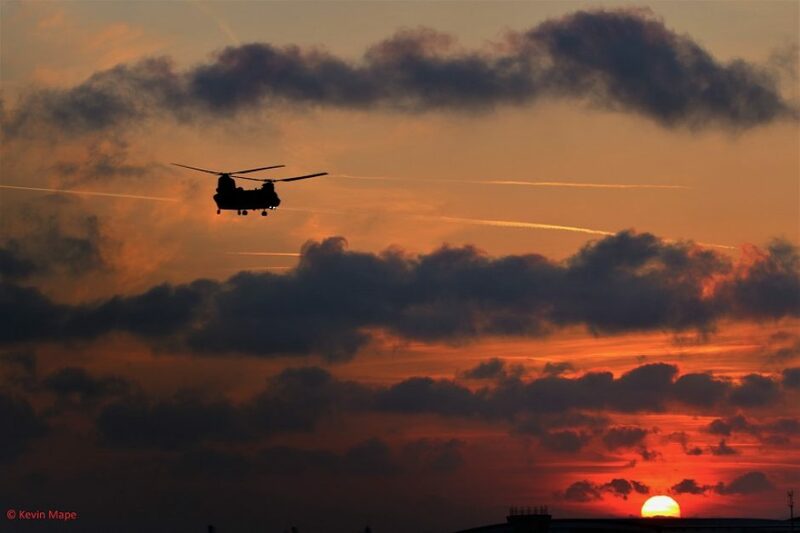 (G-BKPY). 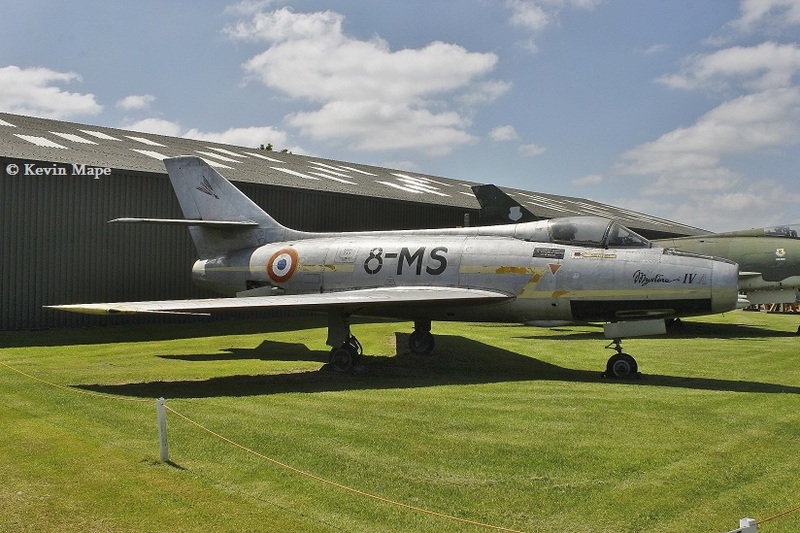 No.83 : Dassault Mystere IV : coded 8-MS : Displayed outside. 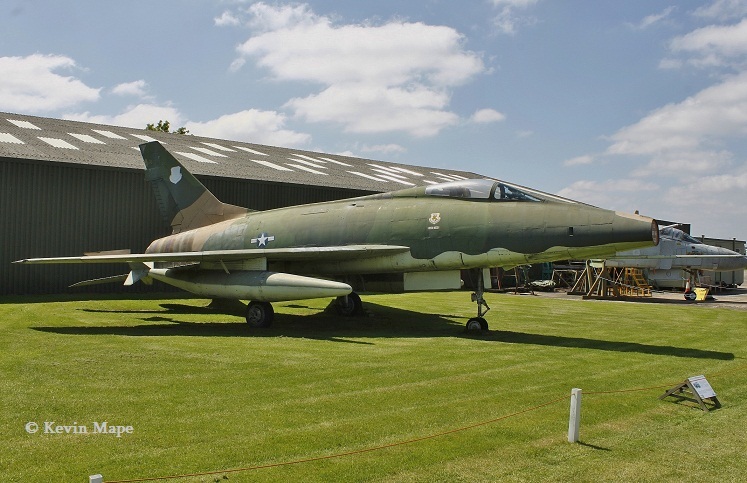 54-2223 : N.A F-100D Super Sabre : USAF markings : Displayed outside. 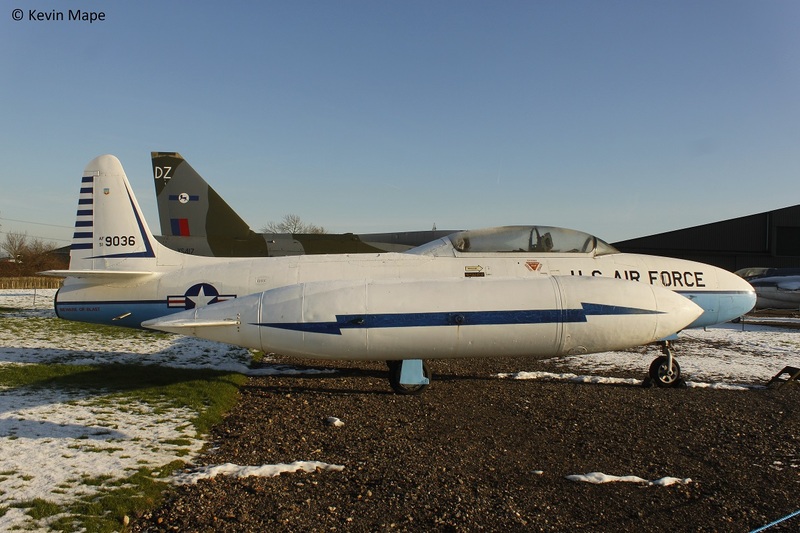 51-9036 : Lockheed T-33A : USAF 48th FIS markings : Displayed outside. 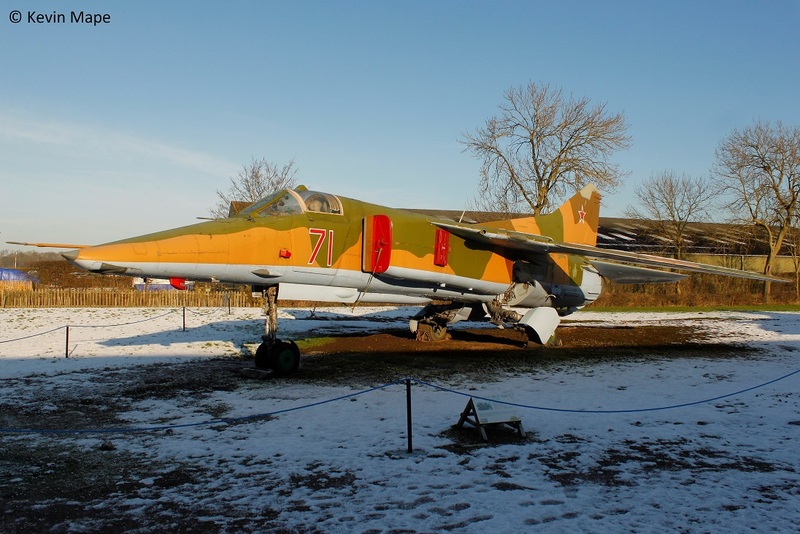 024003607 : Mikoyan-Gurevich MiG-23ML Flogger : Displayed outside : coded Red 71. 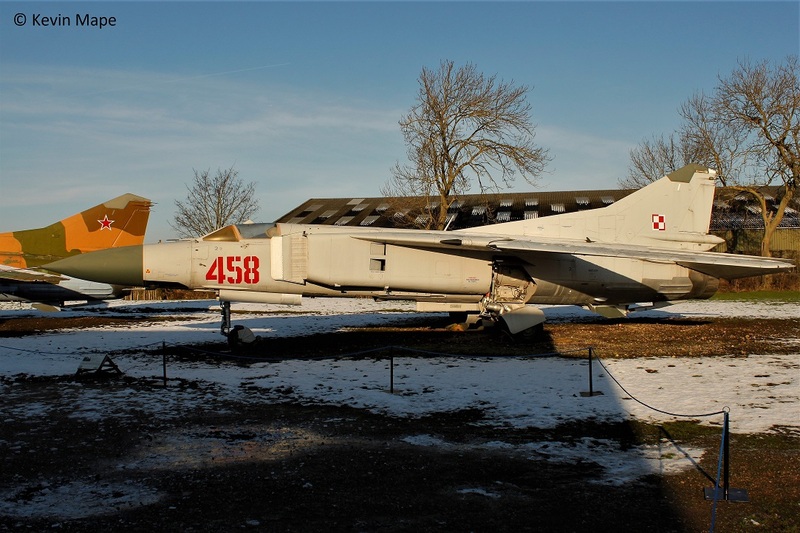 61912507006 : Mikoyan-Gurevich MiG-27K “Flogger” : Displayed outside : wears Polish markings coded 458. 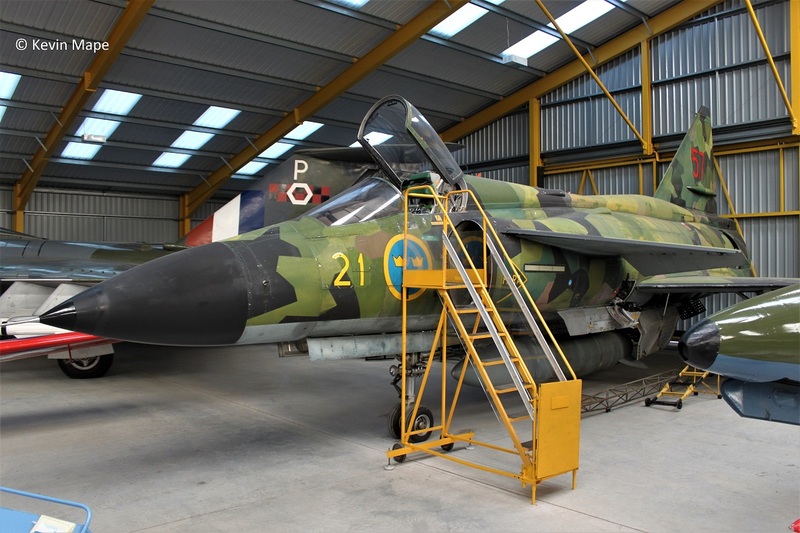 37918 : SAAB Viggen AJSH 37 : F21 markings coded 57 : Displayed in hangar 2. 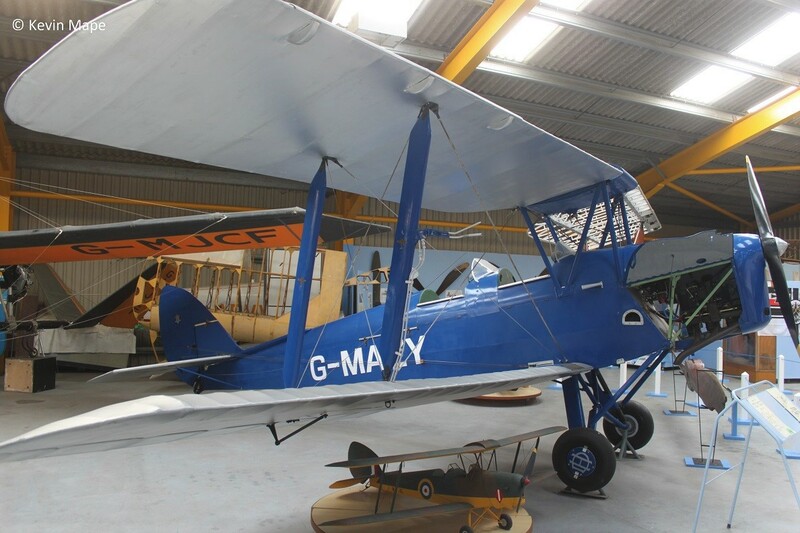 BAPC.020 : Lee Richards Annular Biplane Replica : Displayed in hangar 1. 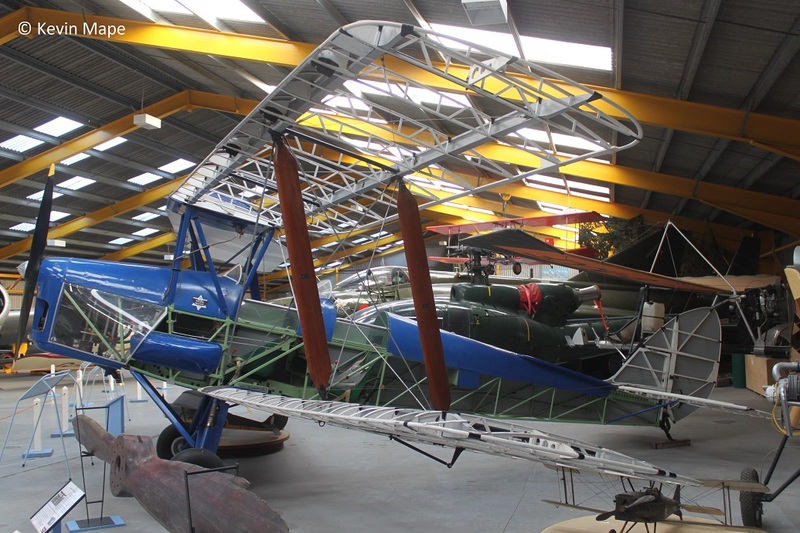 BAPC.43 : Mignet HM.14 Flying Flea . 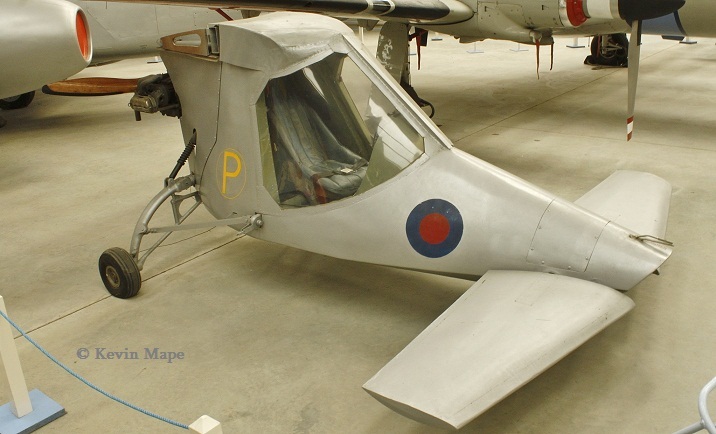 BAPC 101 : Mignet HM.14 Flying Flea (cockpit). 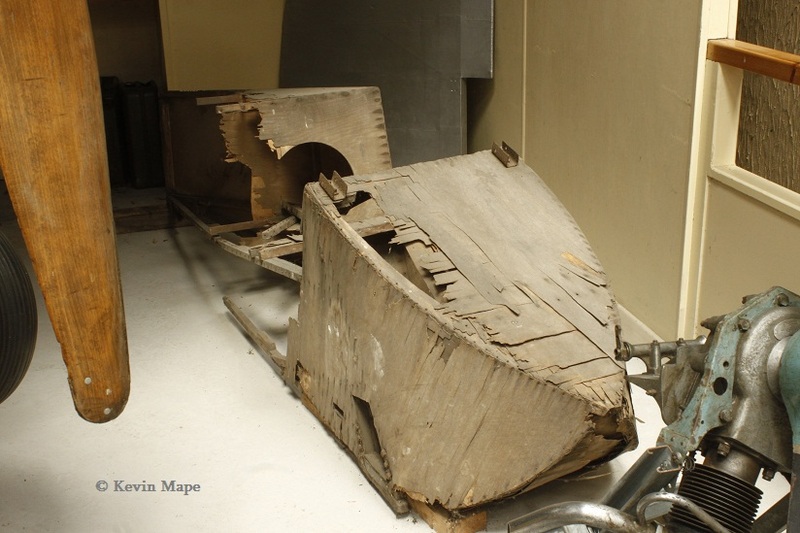 Remains. 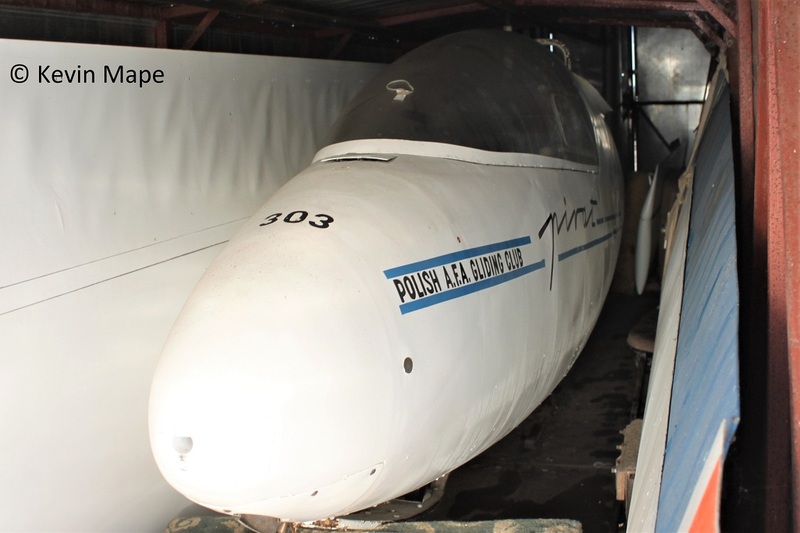 BAPC.183 : Zurowski ZP.1 : Displayed in hangar 1 . 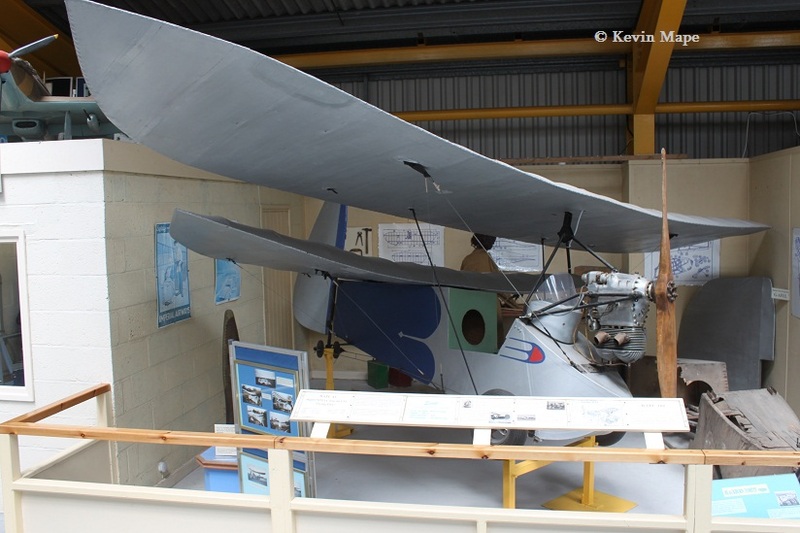 BAPC 330 : Ward Gnome : Displayed in hangar 1. 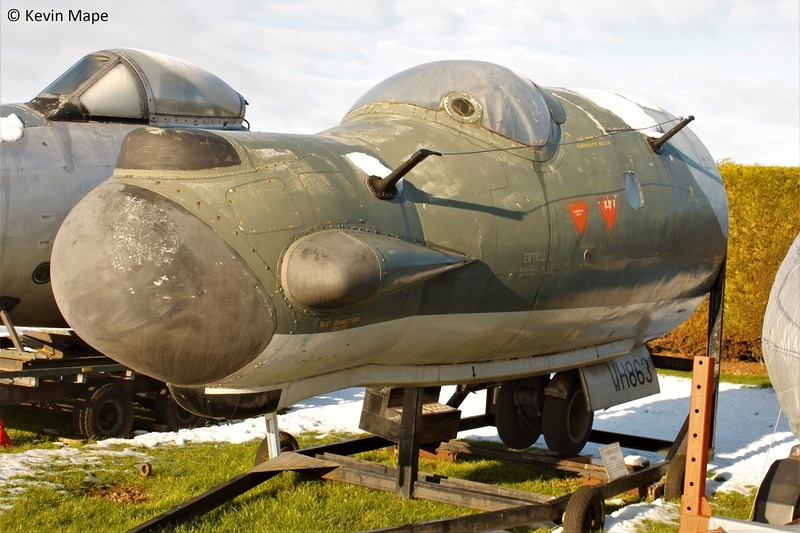 BAPC.518 : English Electric Canberra PR 9 cockpit section : Displayed outside . 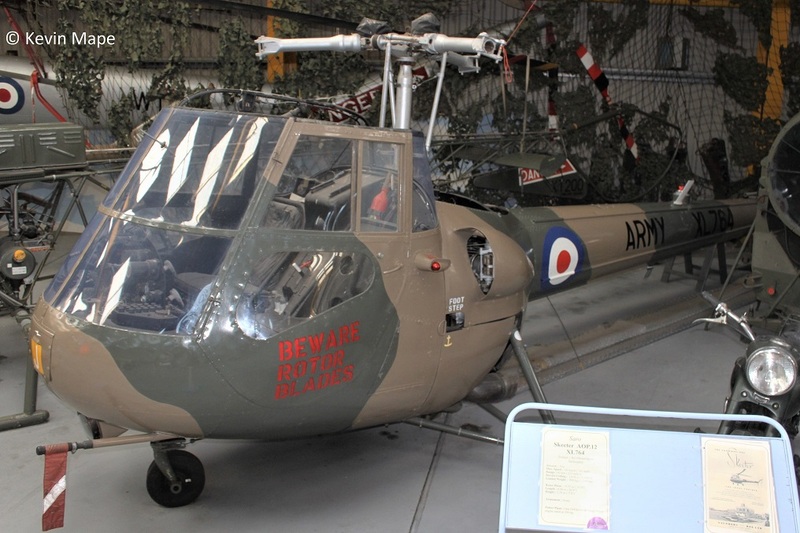 ( XH177 ). 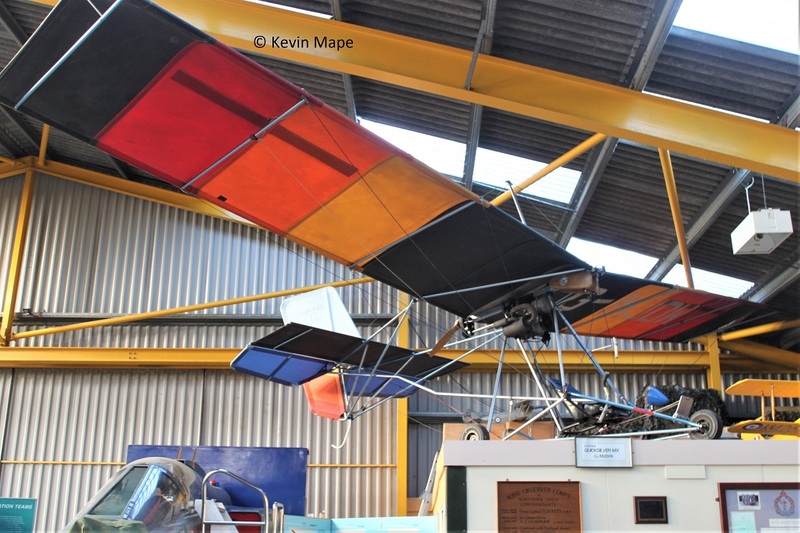 G-MNRT : Aviasud Sirocco : Displayed in hangar 2. 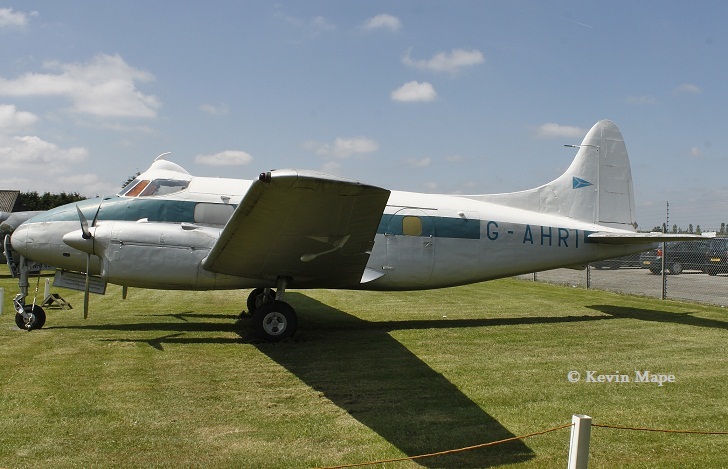 G-AHRI : De Havilland DH104 Dove I : Displayed outside. 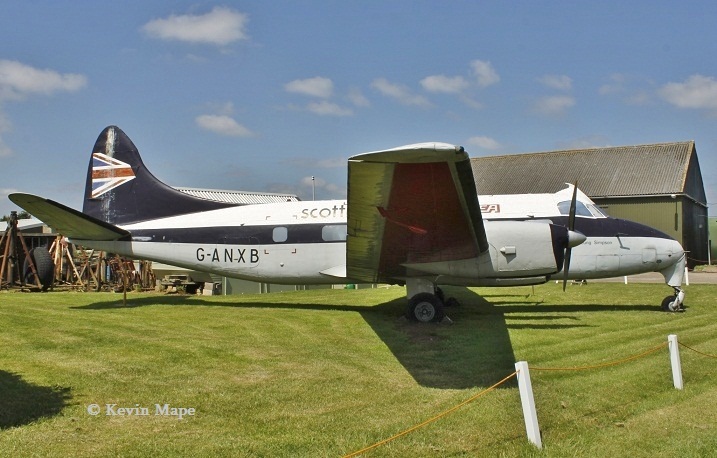 G-ANXB : De Havilland DH114 Heron Ib : Displayed outside in BEA Scottish markings. 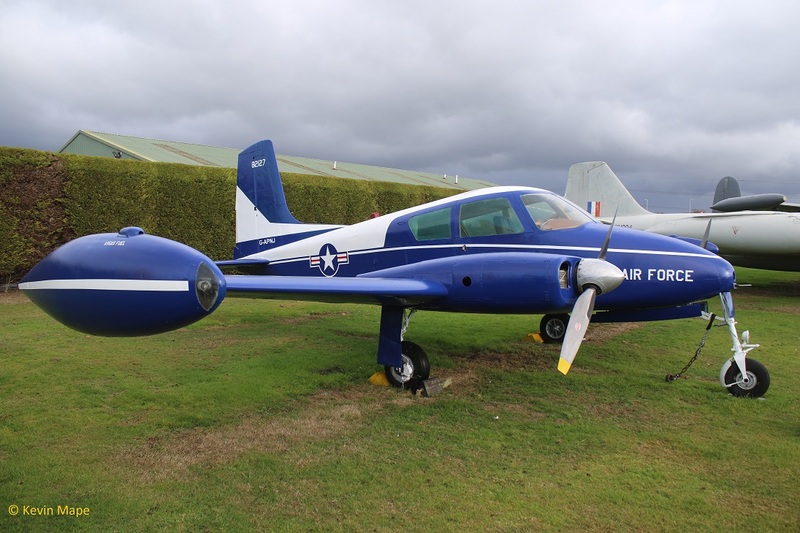 G-APNY : Cessna 310A : Displayed outside wears USAF markings as 82127. 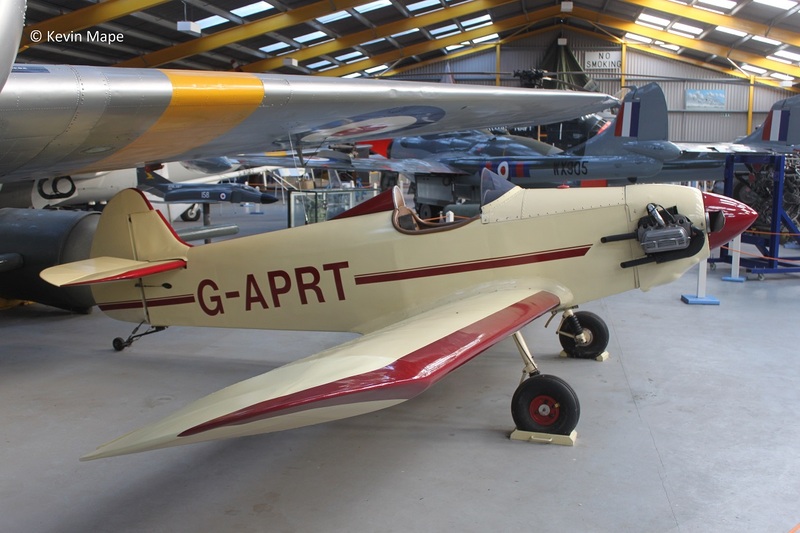 G-APRT : Taylor Monoplane : Displayed in hangar 1. 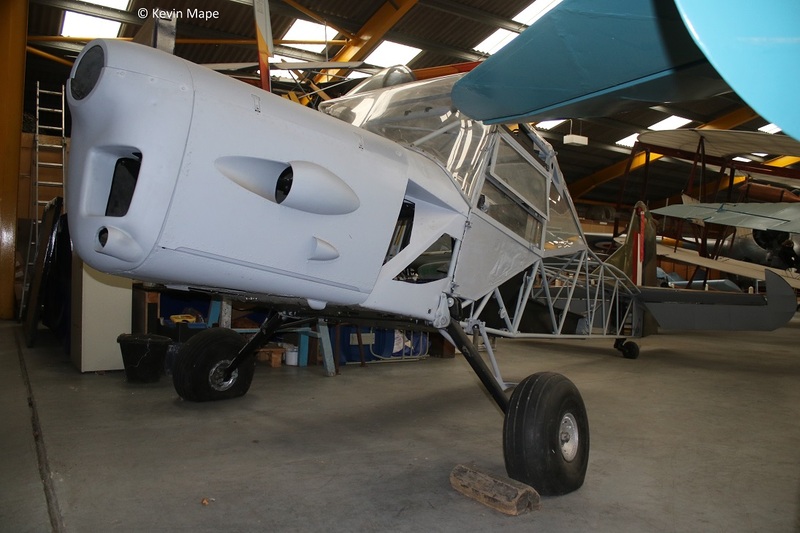 G-APVV : Mooney M.20A : Stored on site. 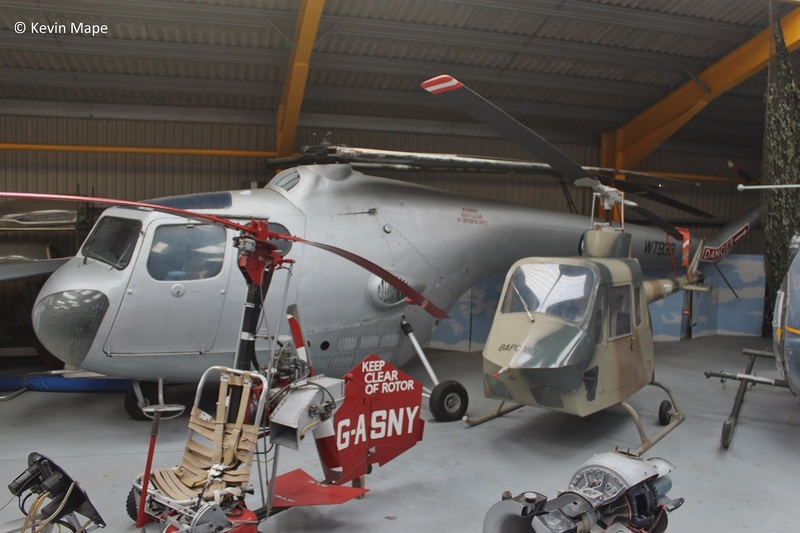 G-ASNY : Benson B8 Gyrocopter : Displayed in Hangar 1. 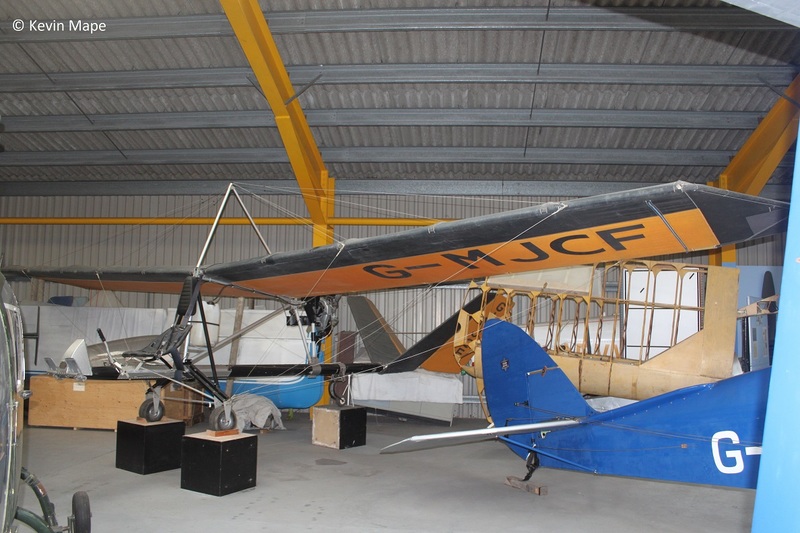 G-AXMB / VM590 : Slingsby Motor Cadet T.7 glider : Stored off site. 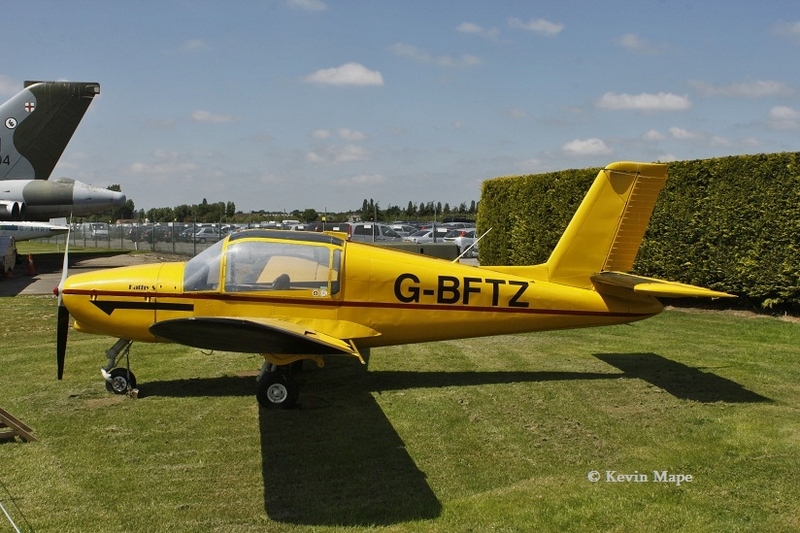 G-BFTZ : MS.880 Rallye : Displayed outside. 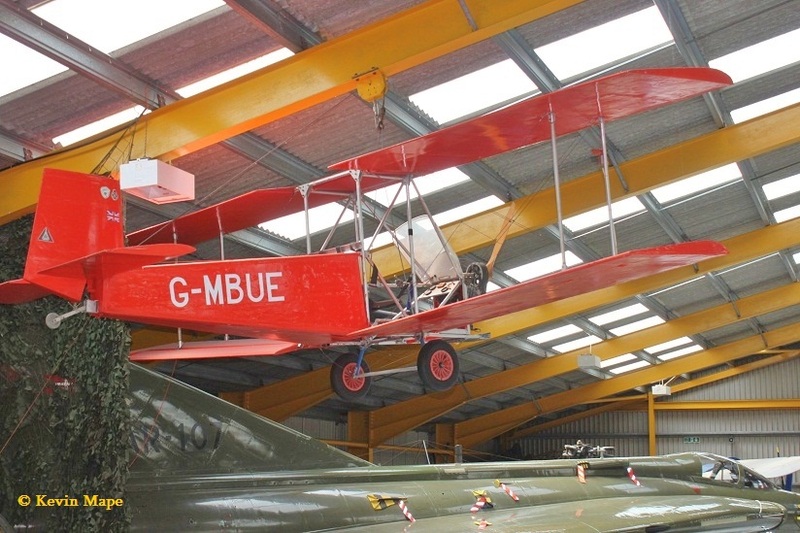 G-BJAD : Clutton Fred series 2 : Displayed in hangar 1. 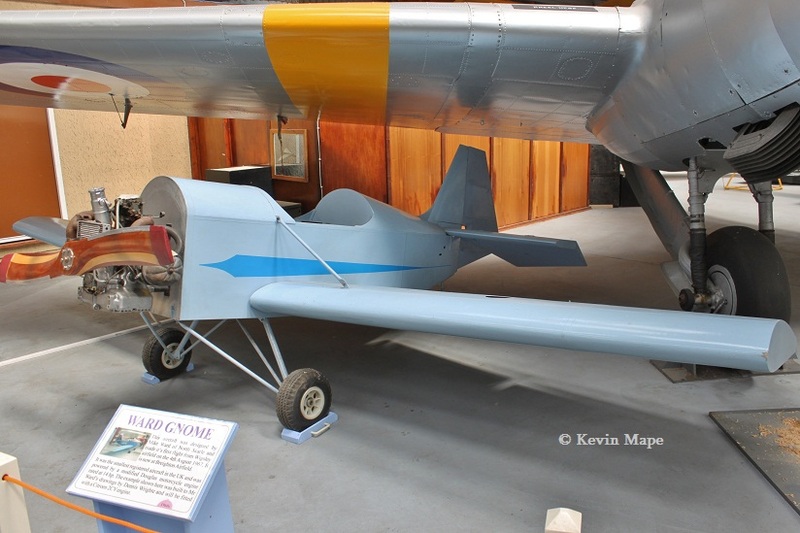 G-BKPG : Luscombe P3 Rattler Strike : Displayed in hangar 2. 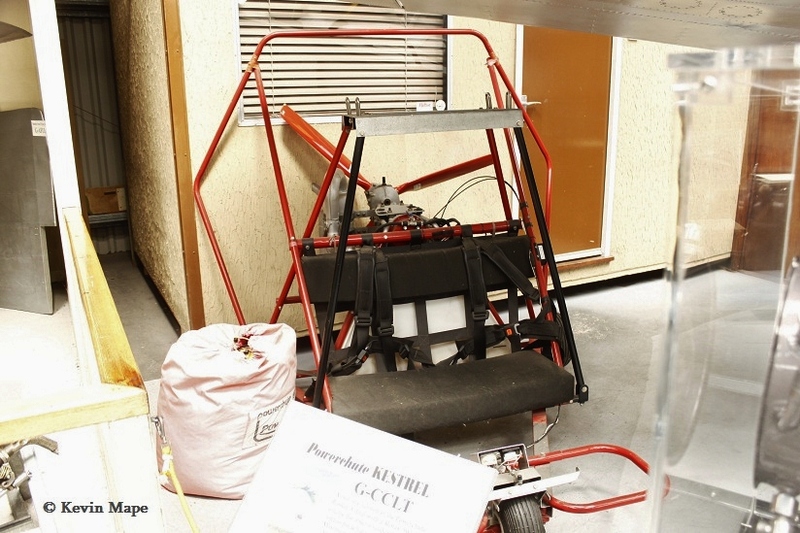 G-CCLT : Powerchute Kestrel : Displayed in hangar 1. 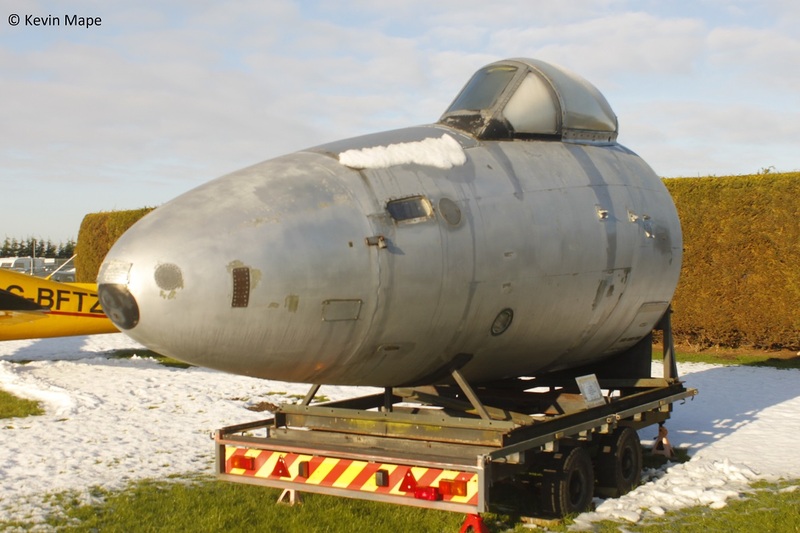 BGA1470 : SZD-30 Pirat glider : coded 303 : stored on site. 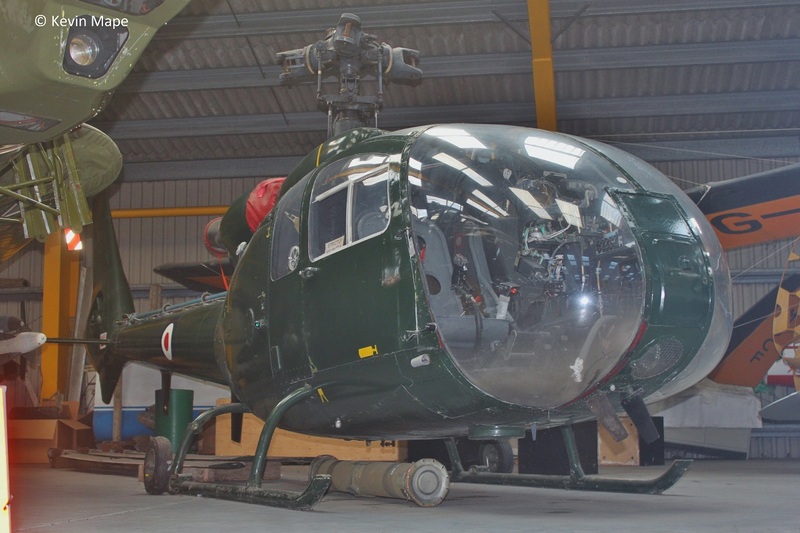 F-ZWRI / XW276 : Sud-Aviation SA.341 Gazelle : Displayed in hangar 1. 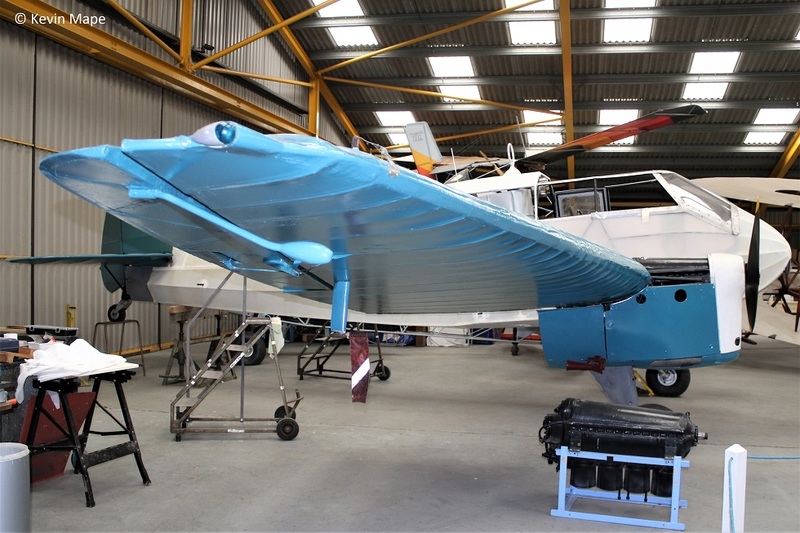 VH-UTH : General Aircraft ST-12 Monostar : Under rebuild.